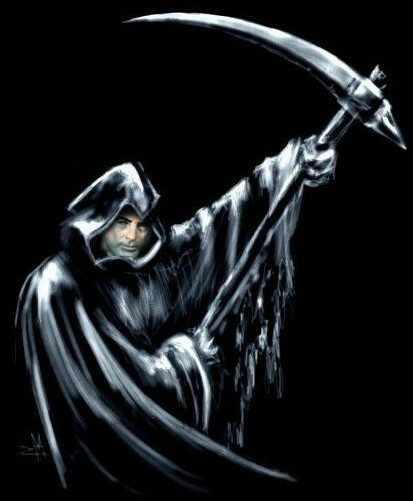 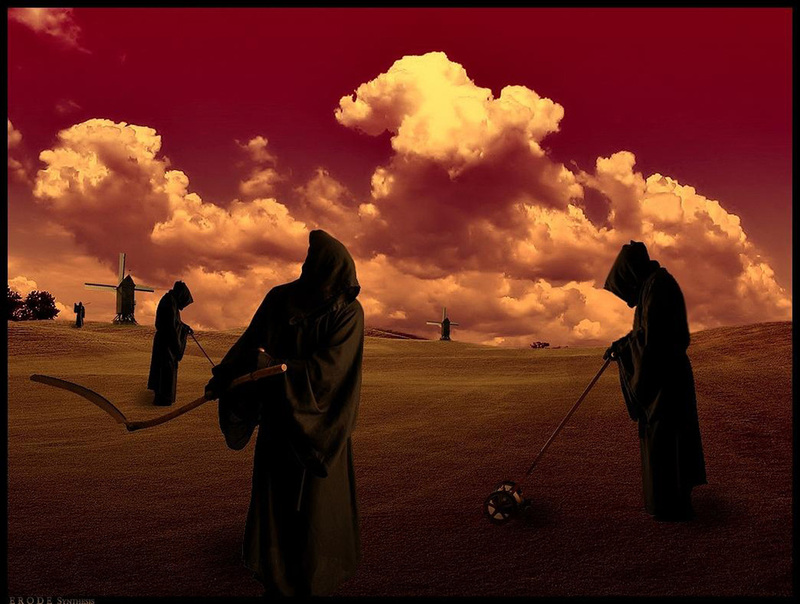 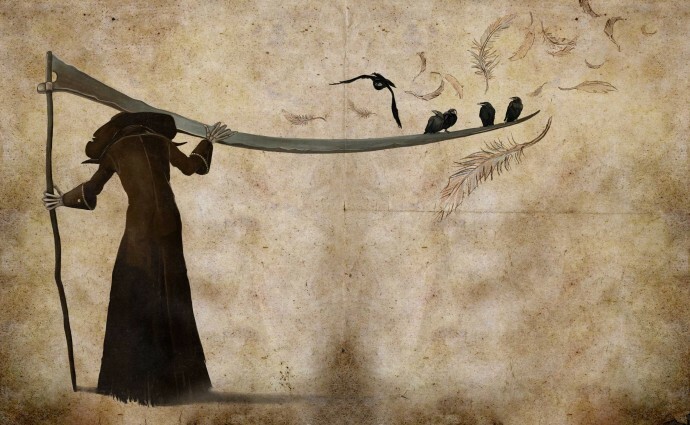 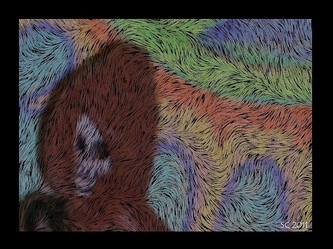 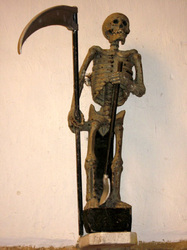 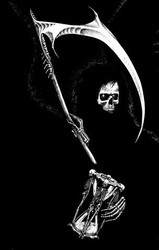 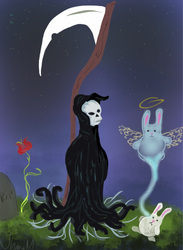 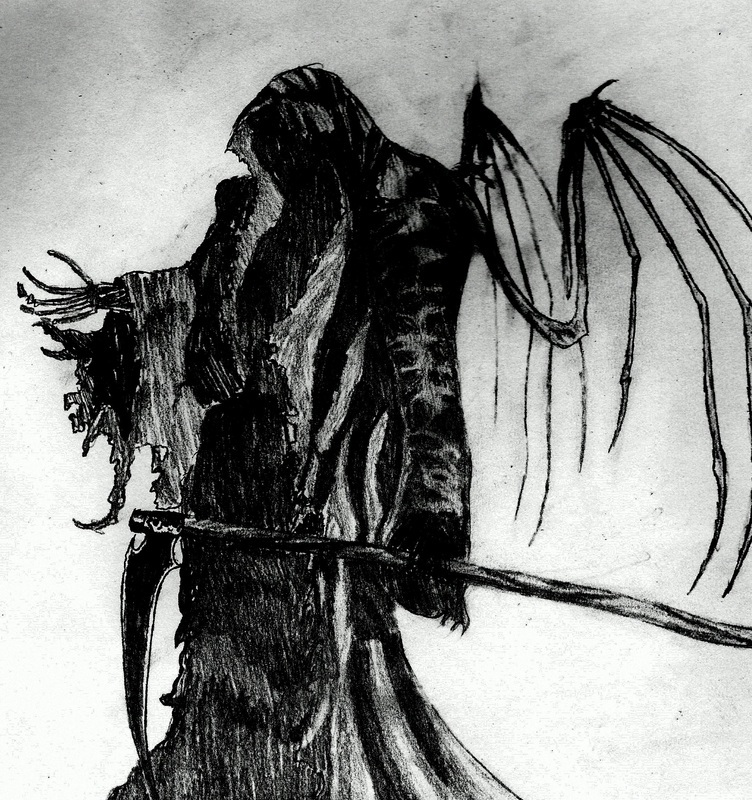 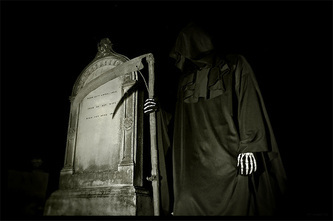 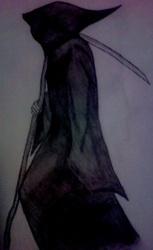 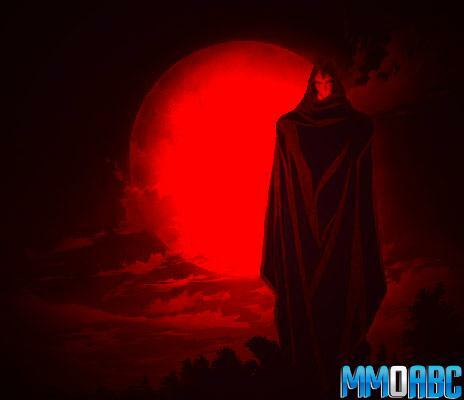 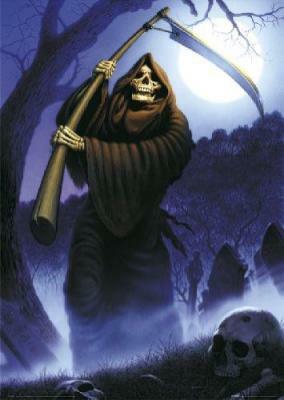 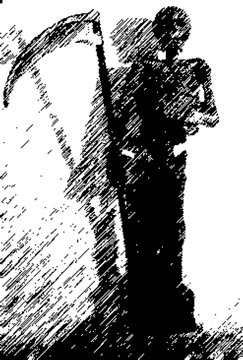 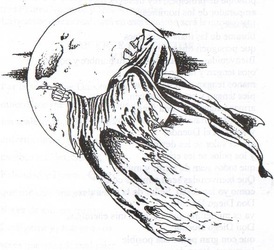 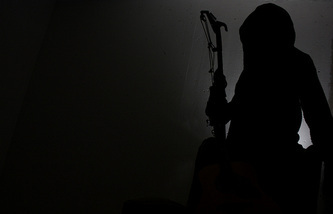 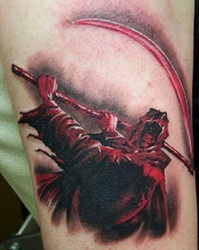 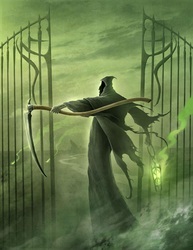 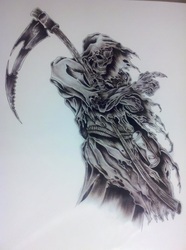 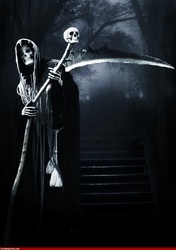 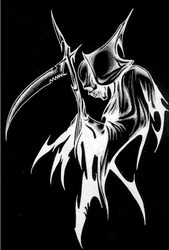 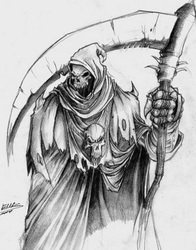 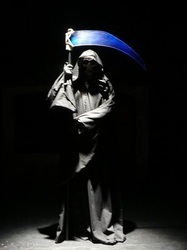 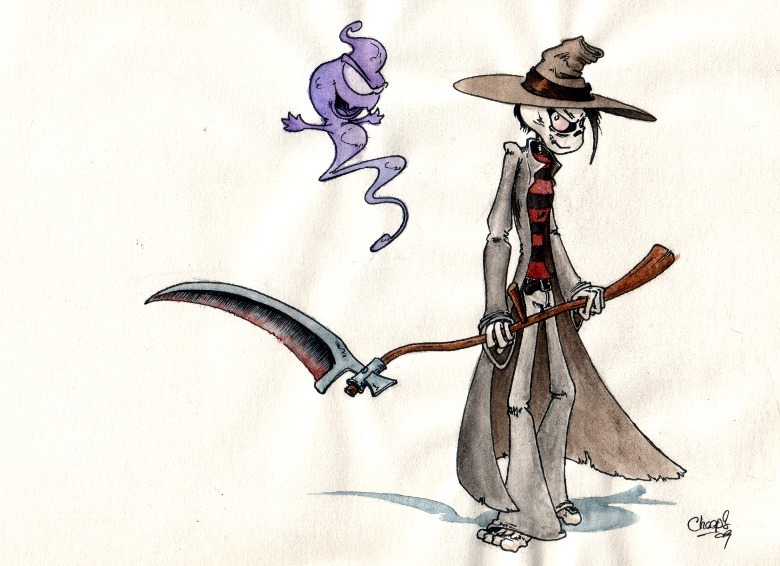 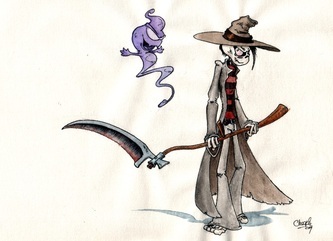 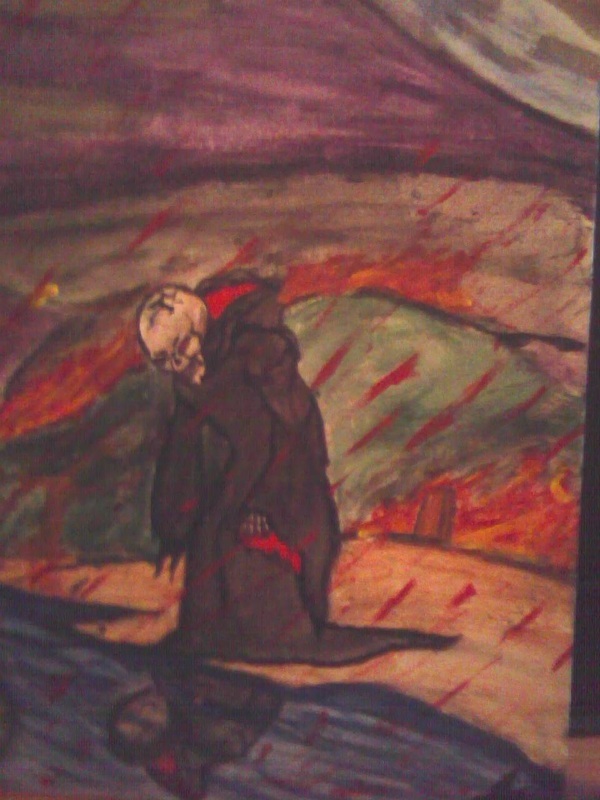 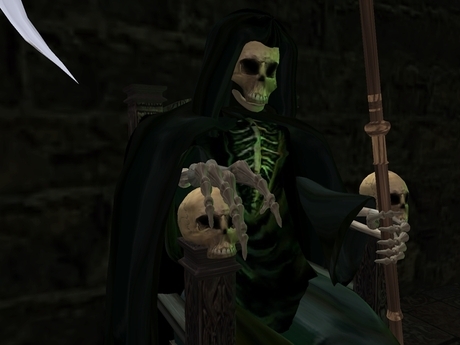 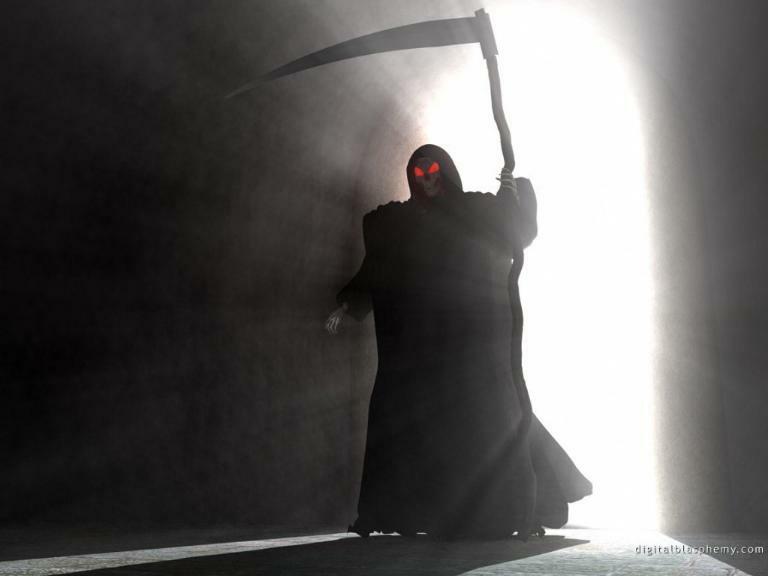 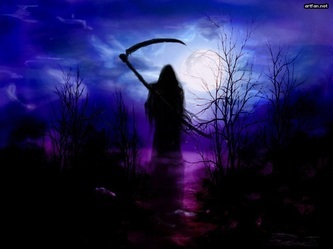 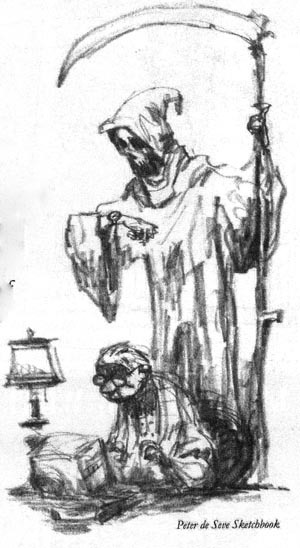 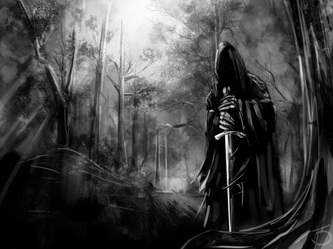 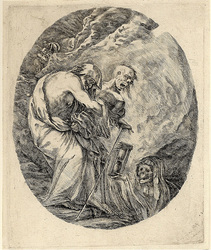 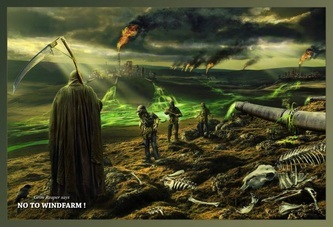 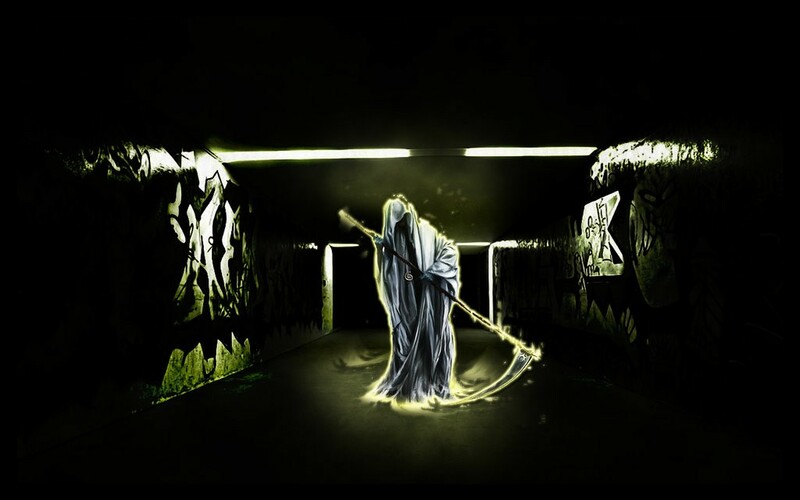 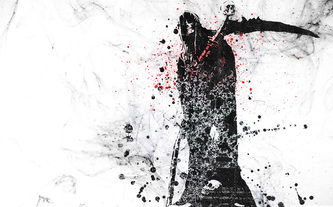 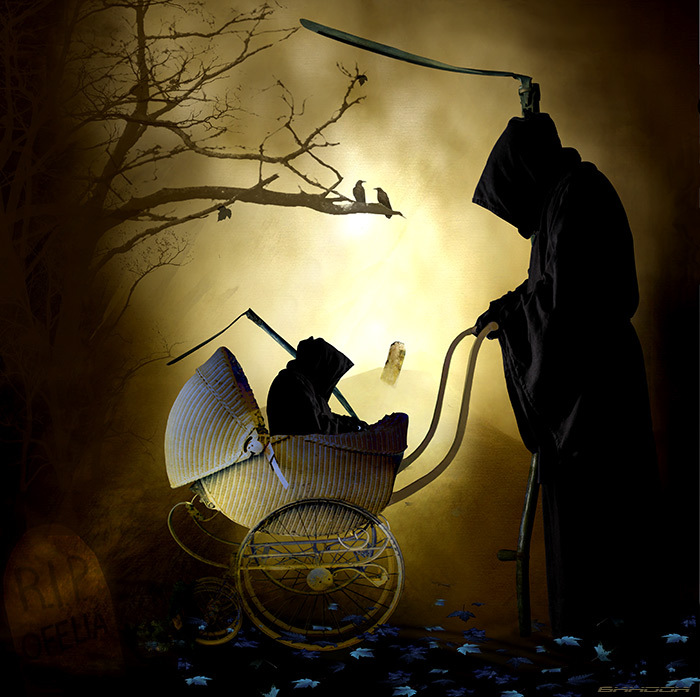 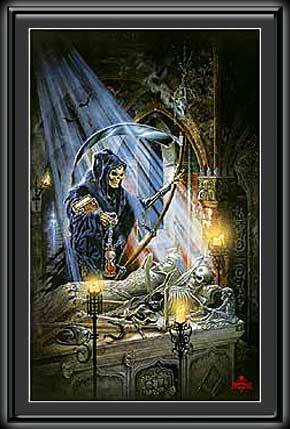 The Grim Reaper escorts souls of the deceased to the unknown territory of life after death. 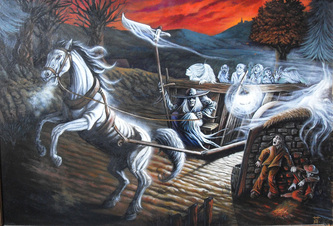 While some believe that he arrives on an old coach drawn by white horses, others believe he arrives by horse without coaches. 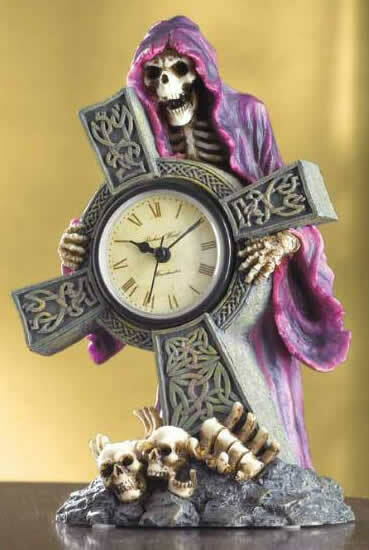 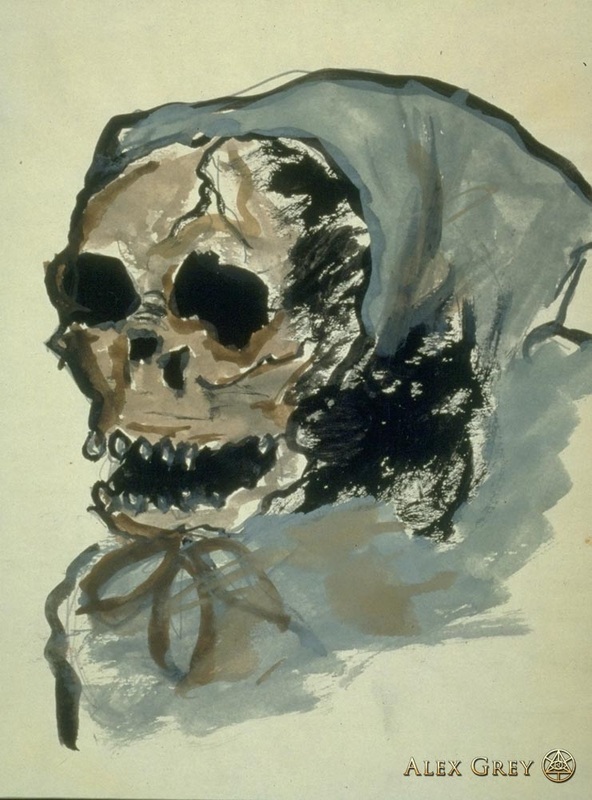 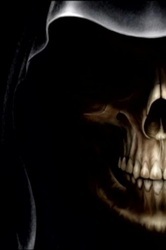 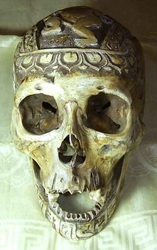 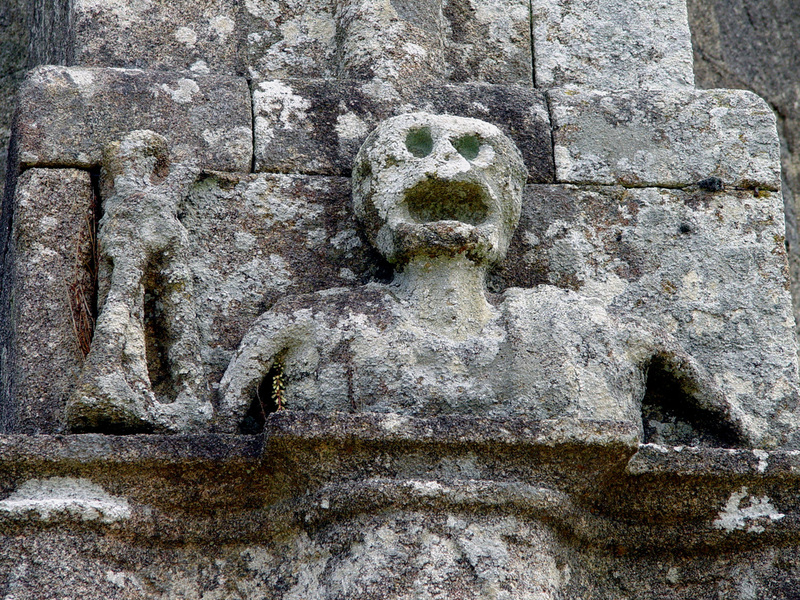 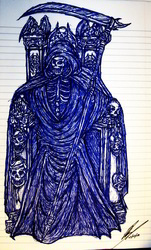 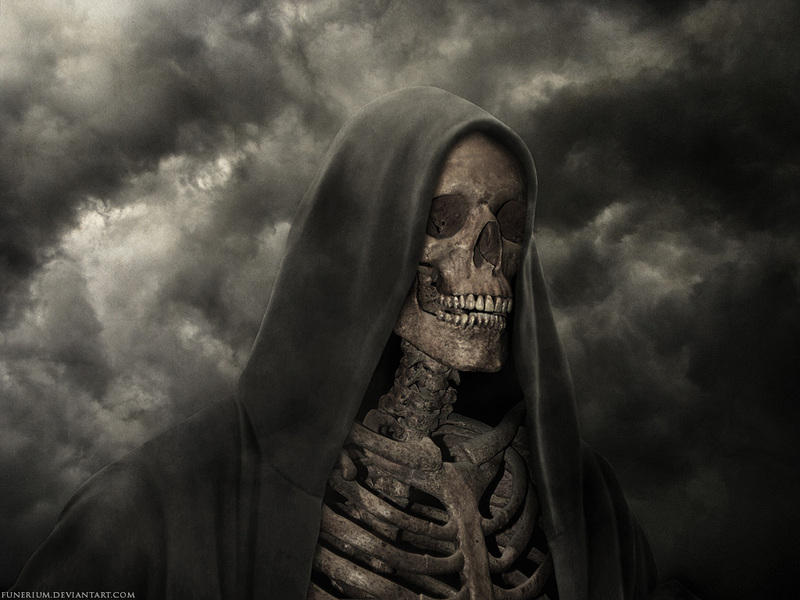 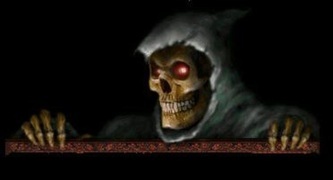 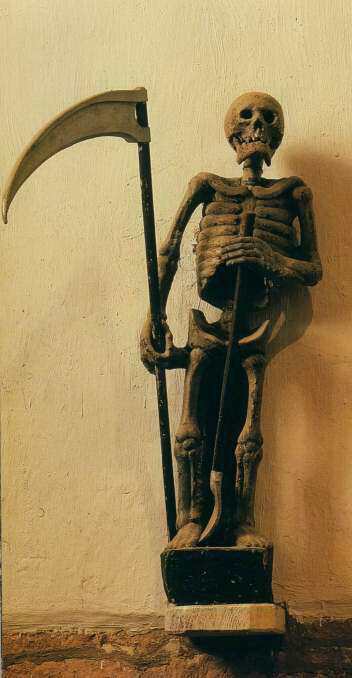 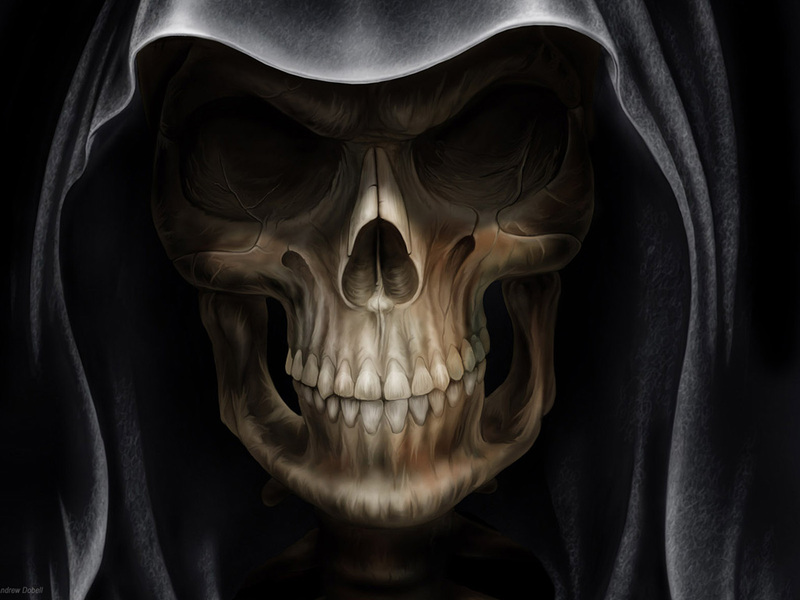 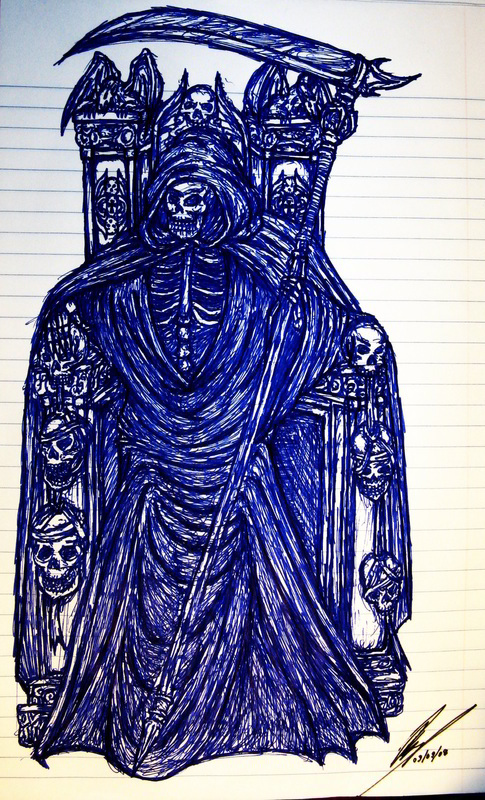 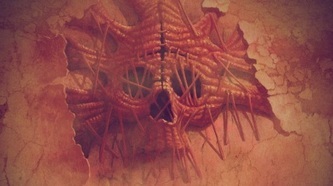 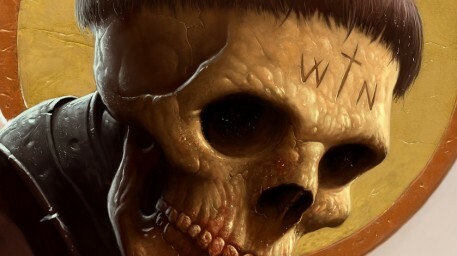 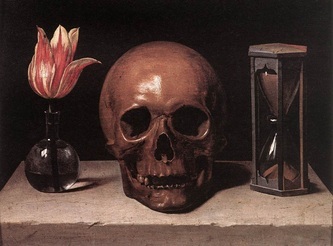 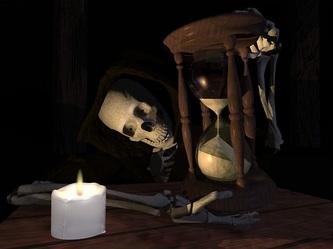 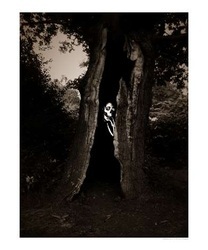 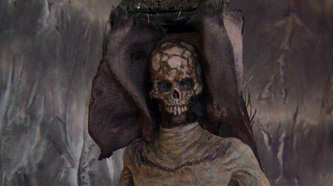 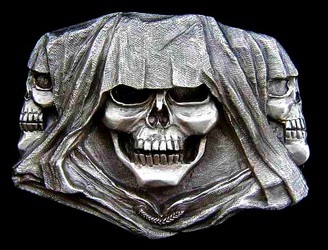 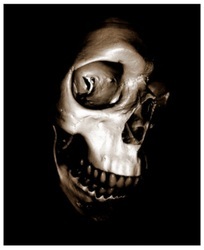 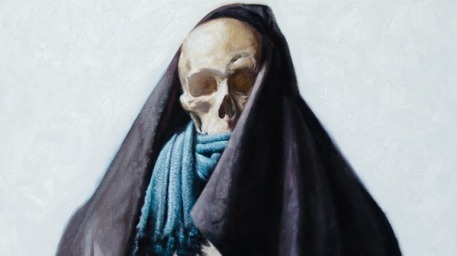 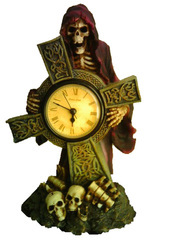 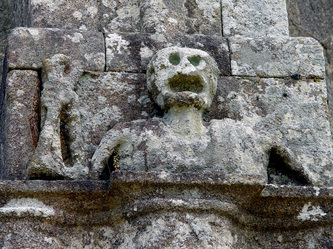 His skeletal face wears a grin mocking Death itself, a grimace which has haunted people across the ages. 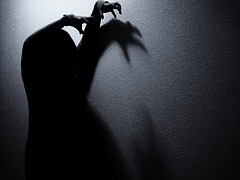 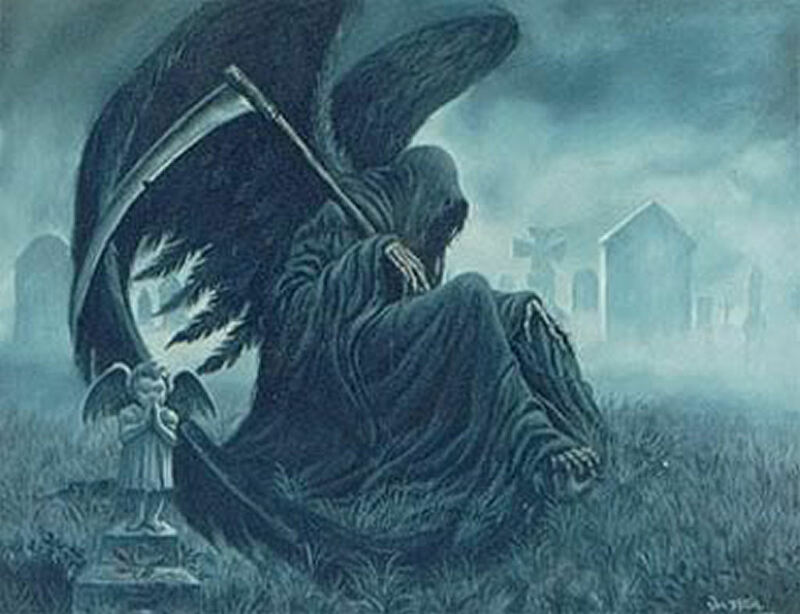 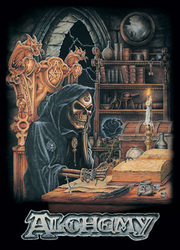 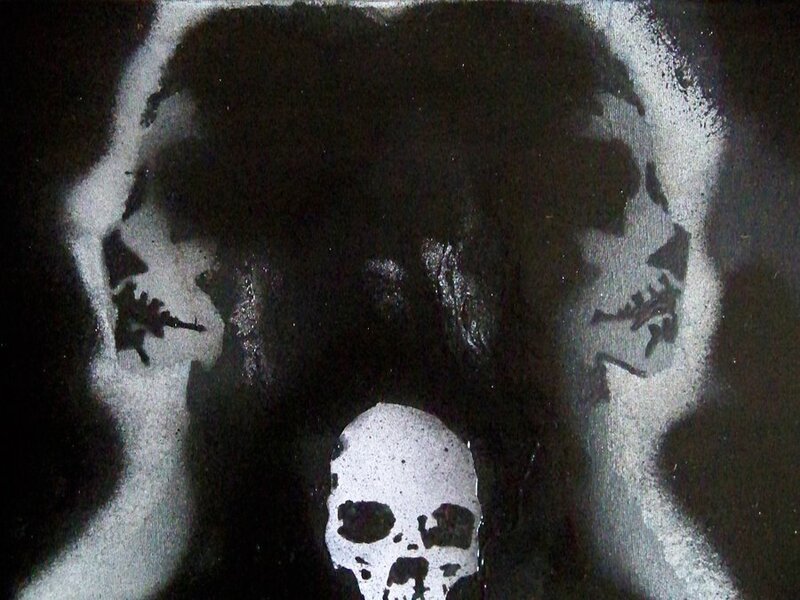 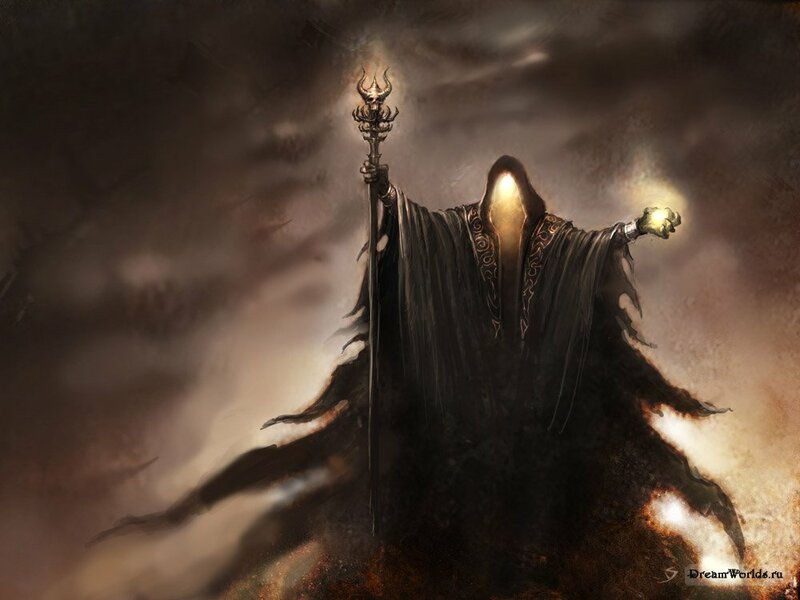 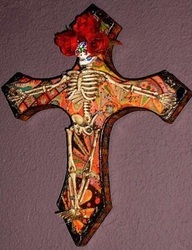 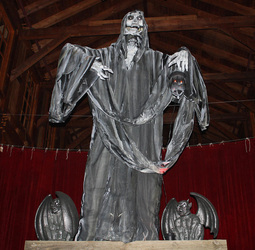 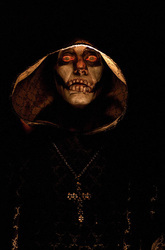 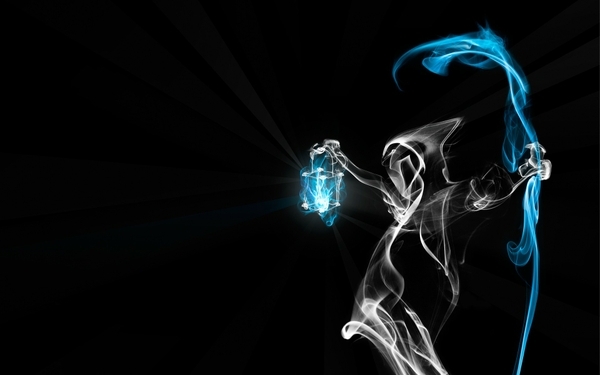 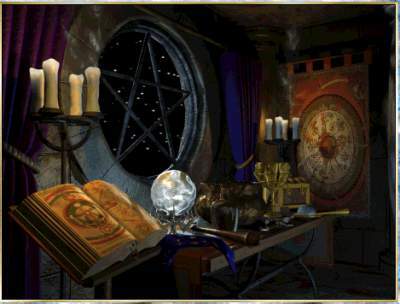 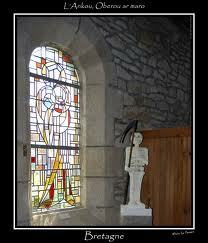 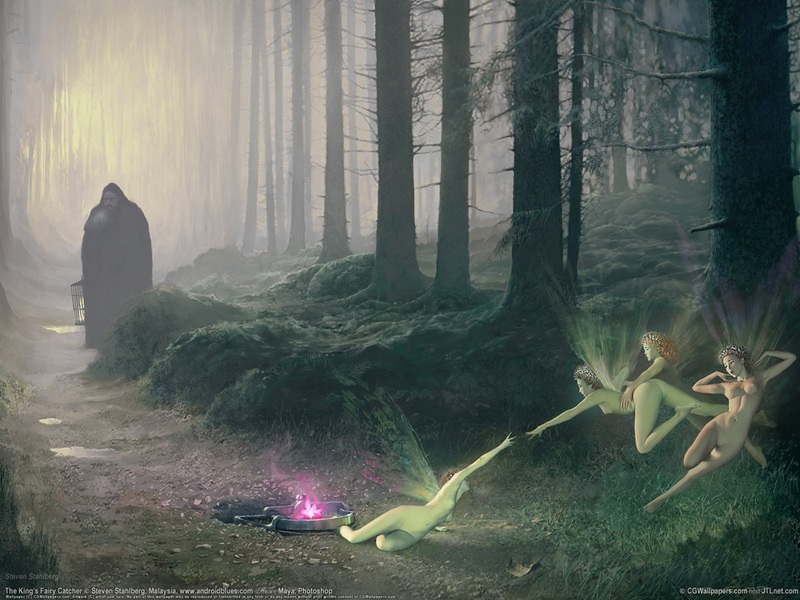 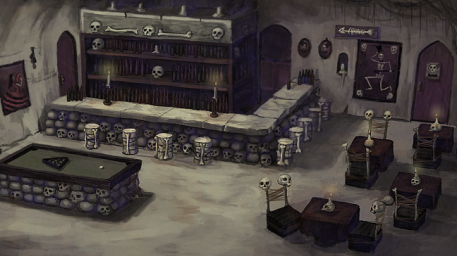 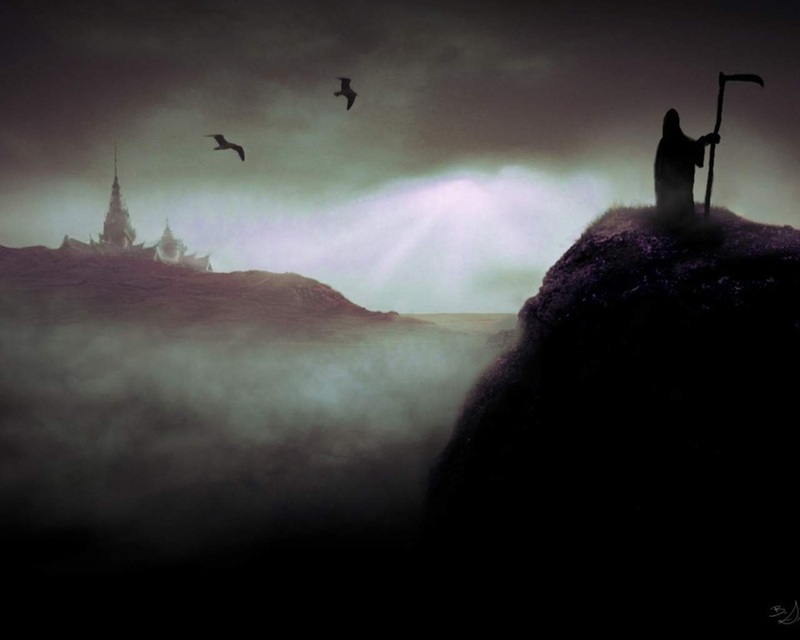 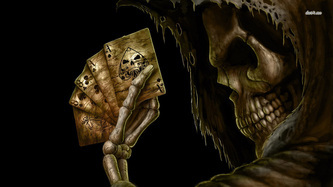 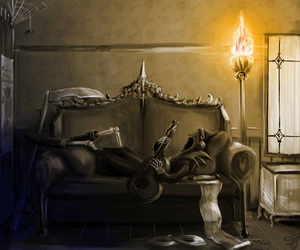 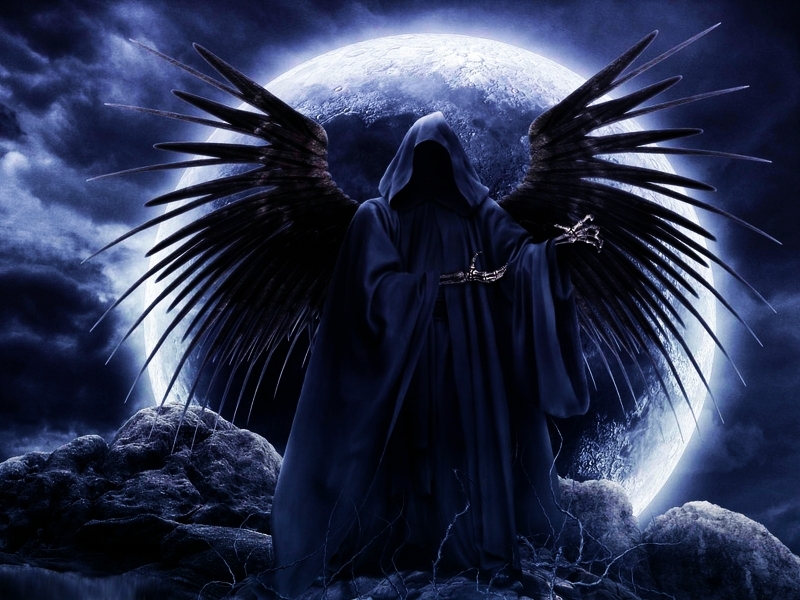 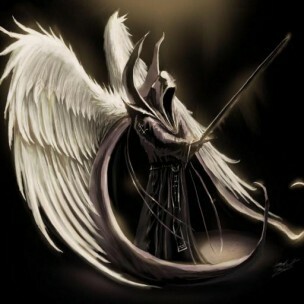 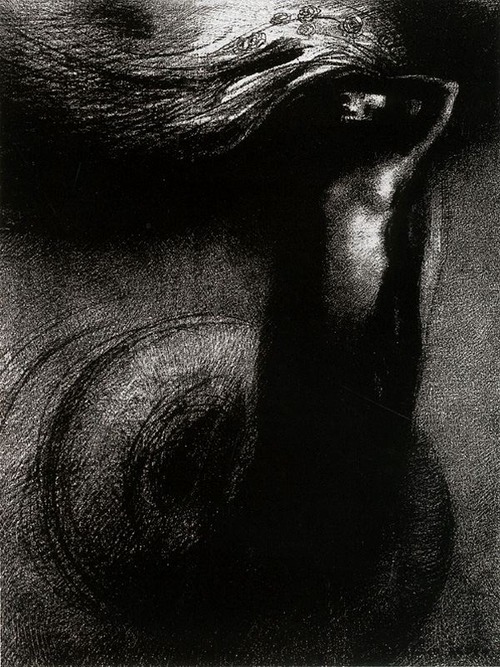 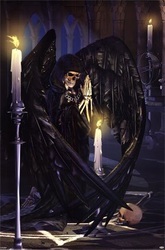 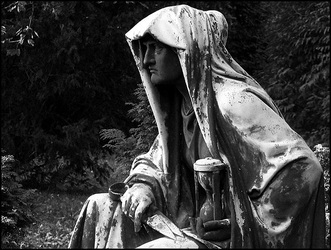 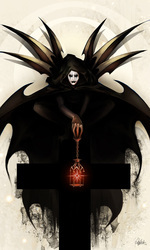 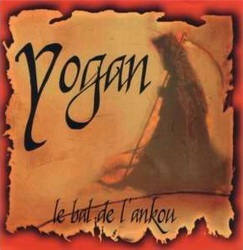 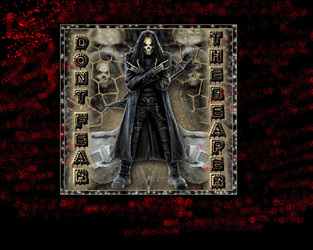 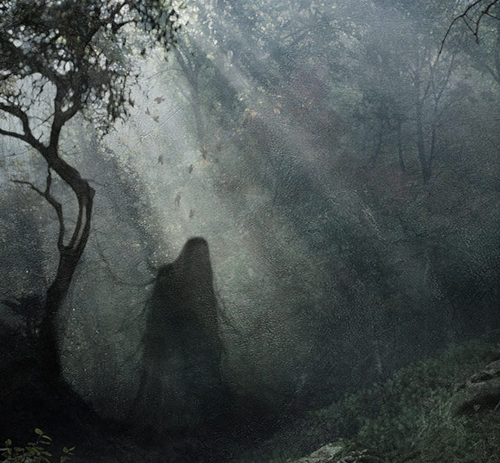 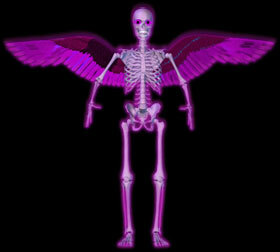 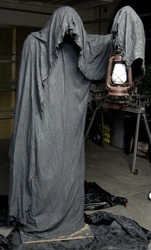 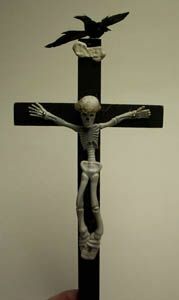 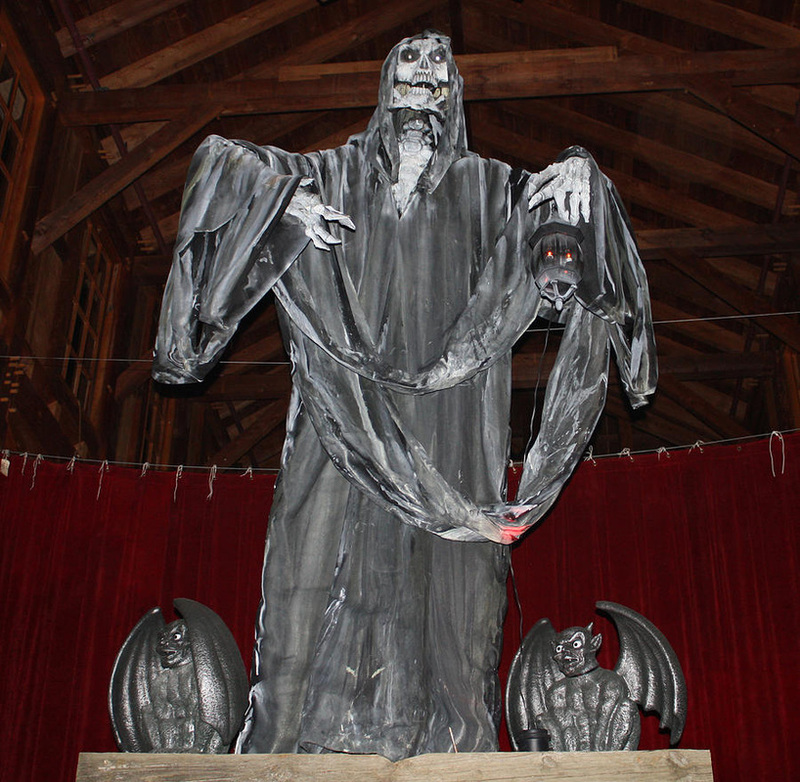 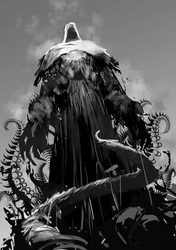 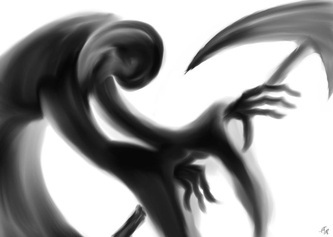 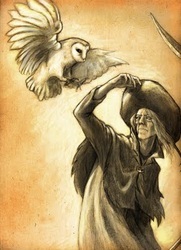 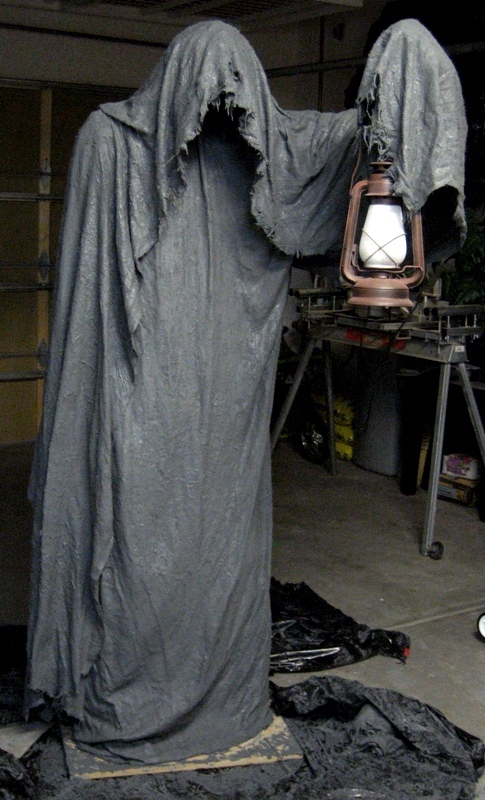 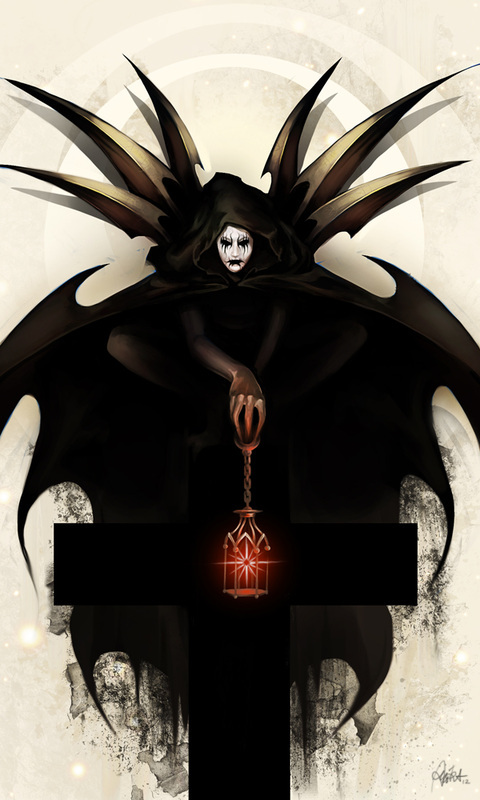 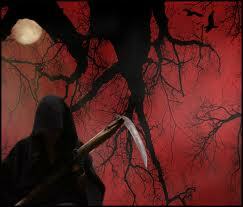 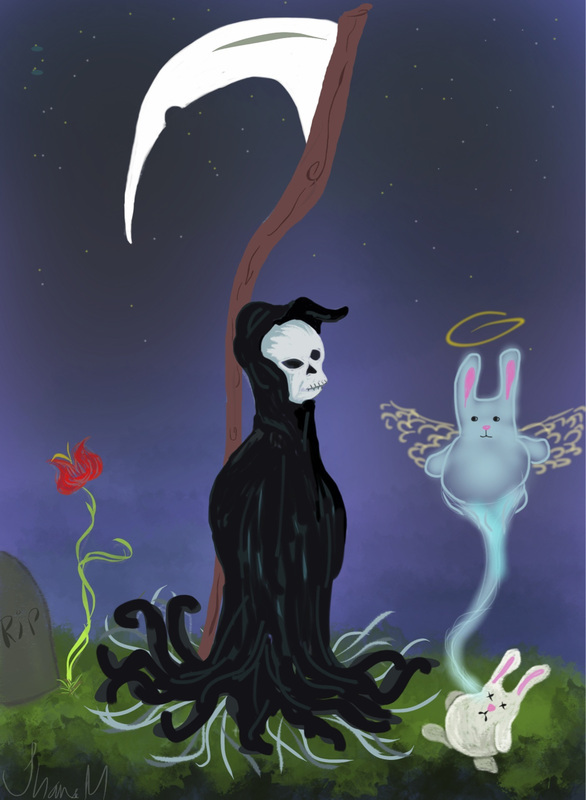 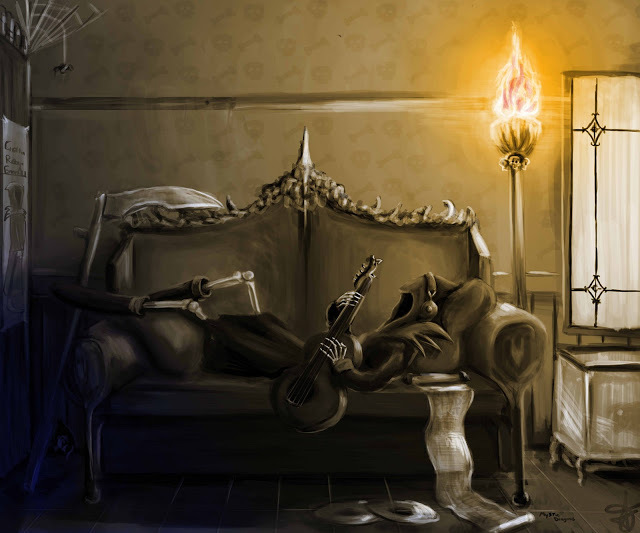 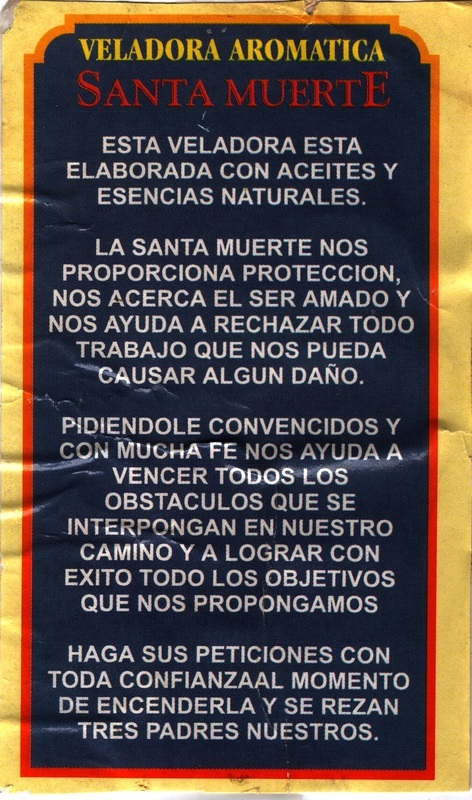 Many religions believe a particular spirit or deity is responsible for looking after souls following death. 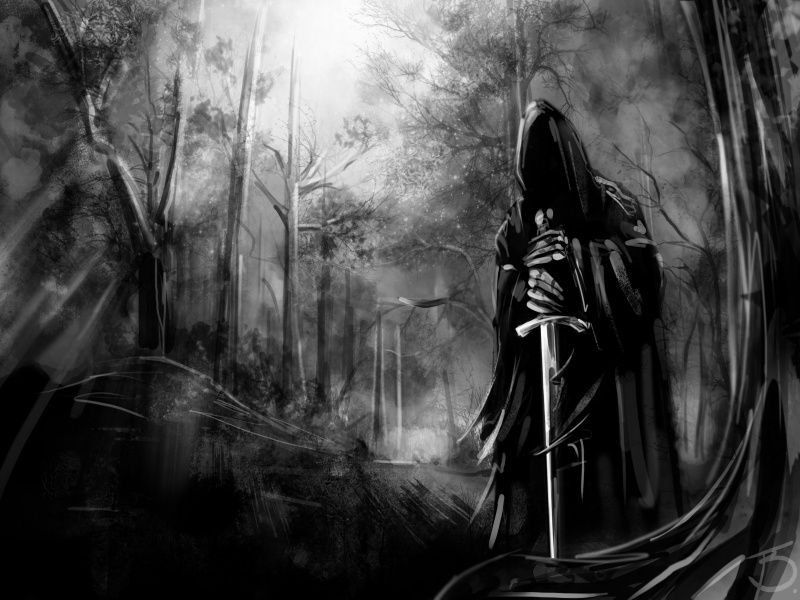 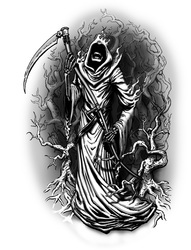 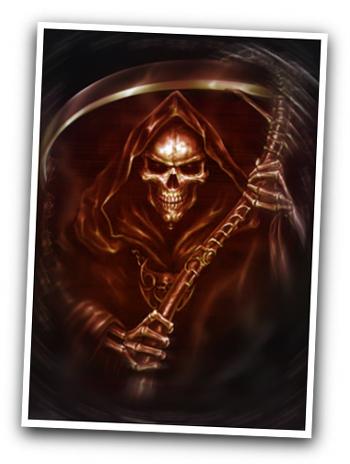 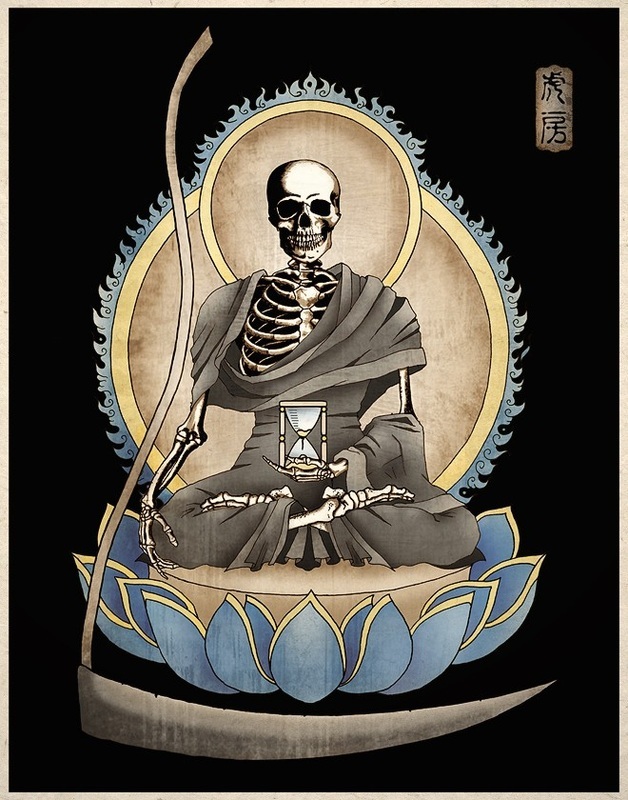 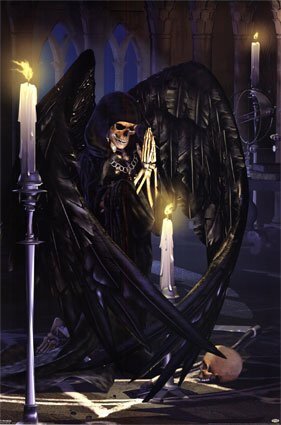 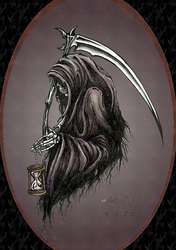 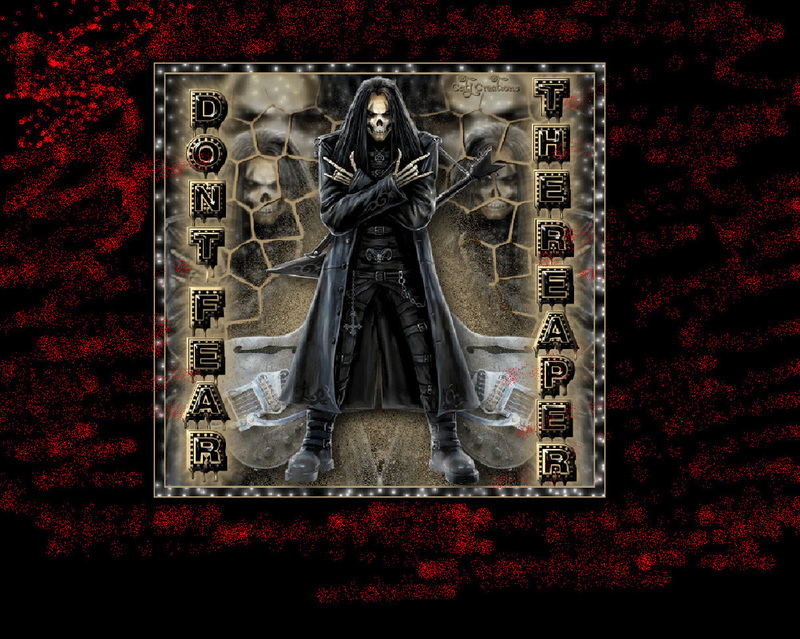 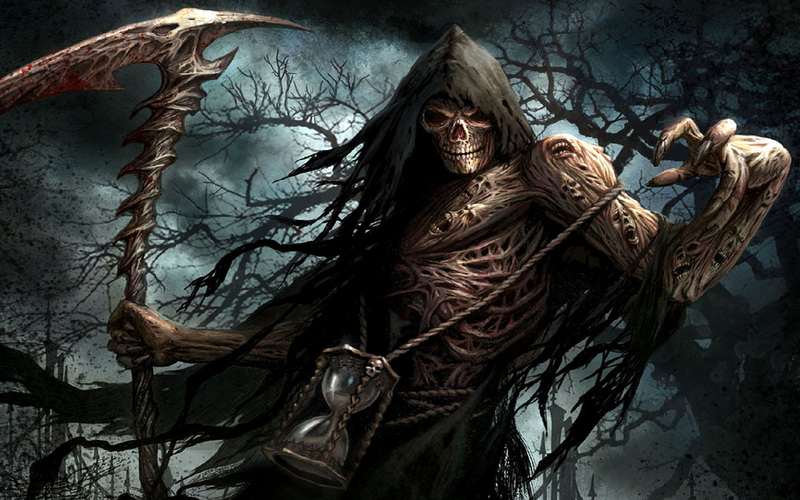 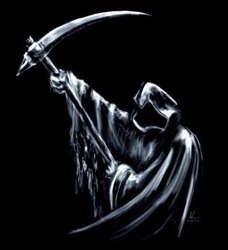 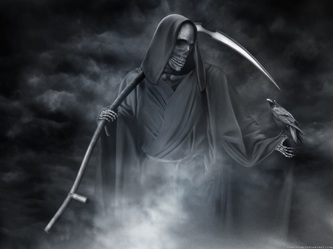 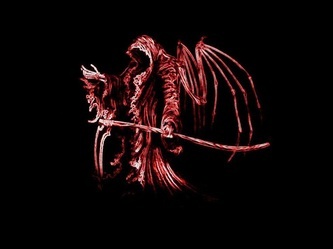 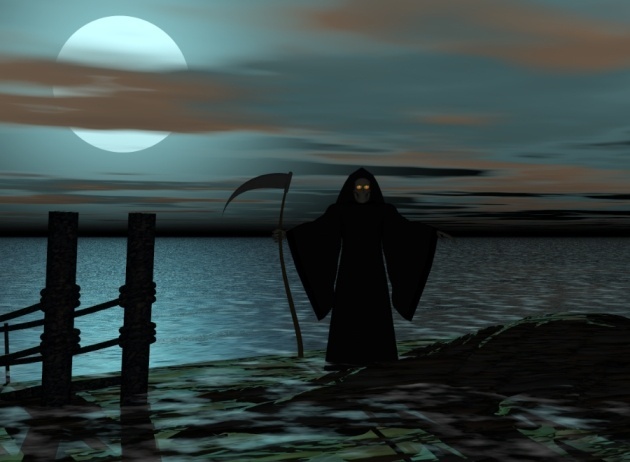 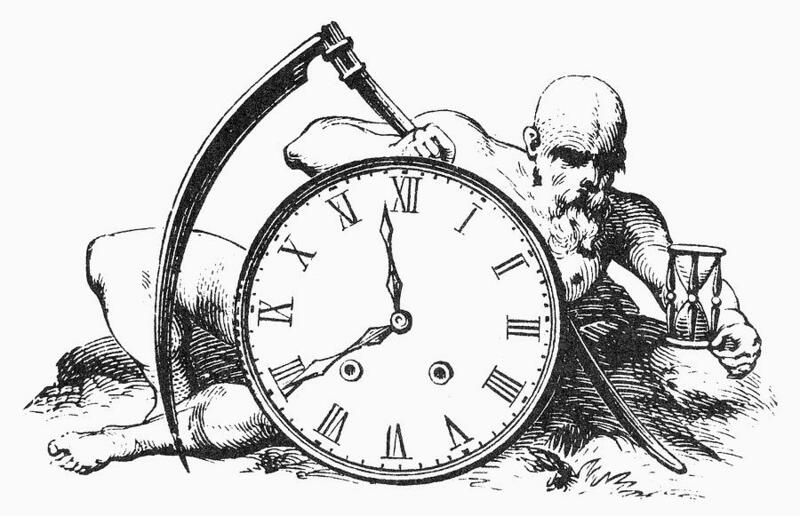 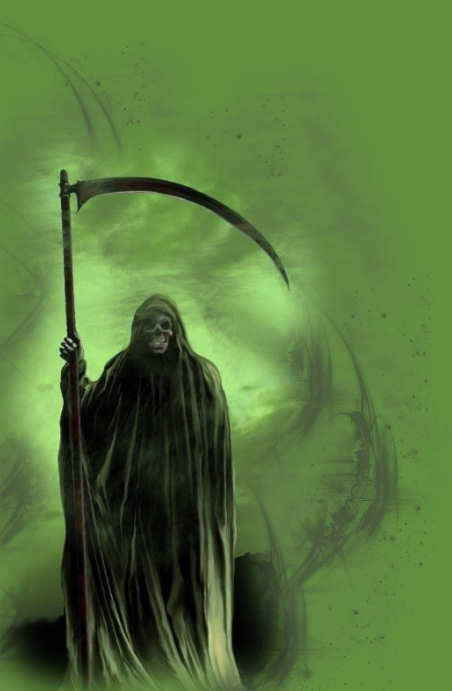 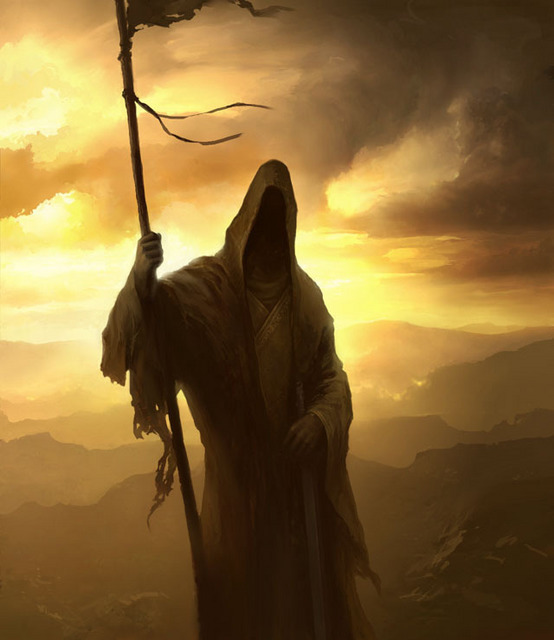 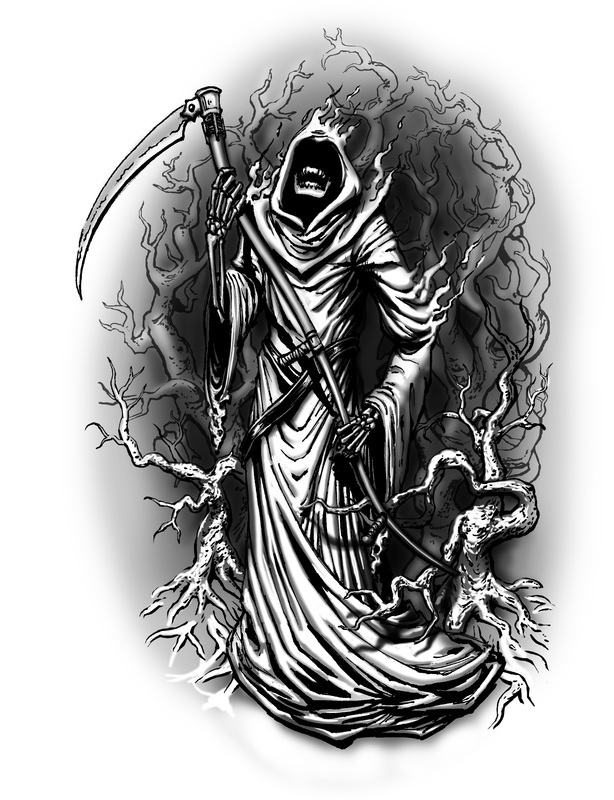 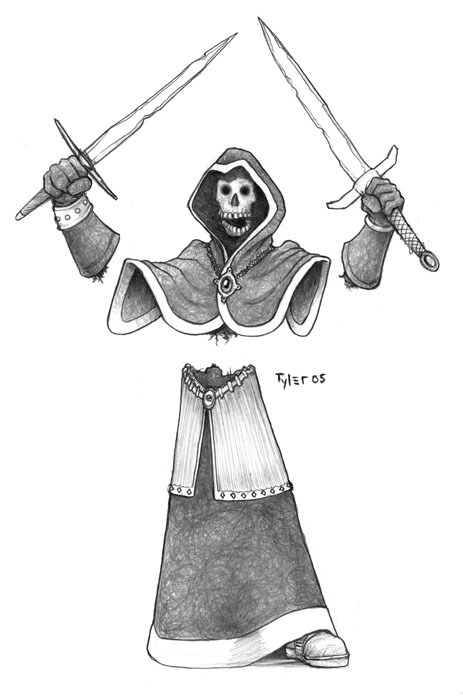 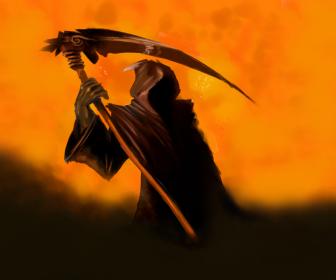 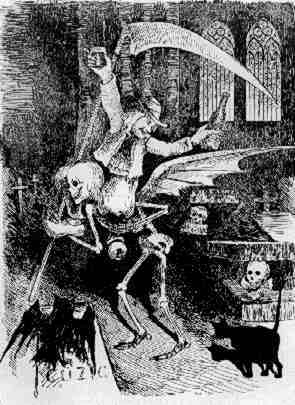 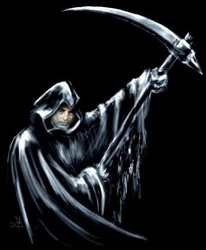 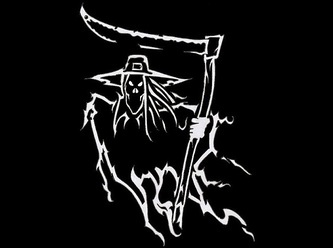 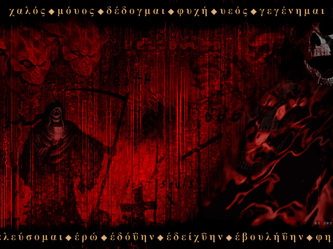 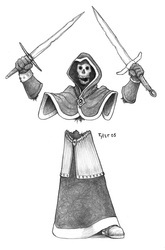 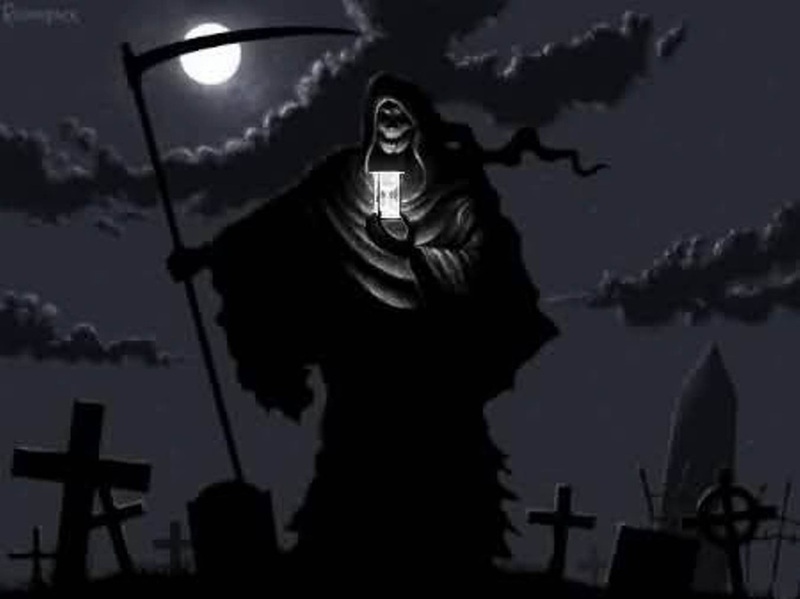 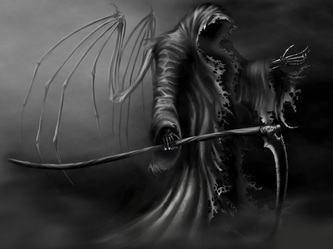 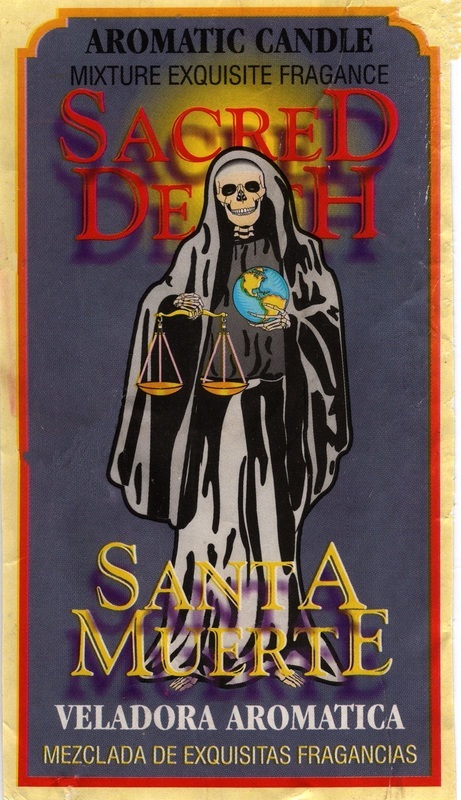 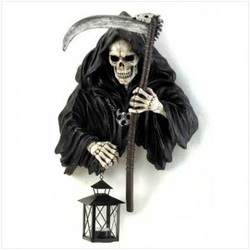 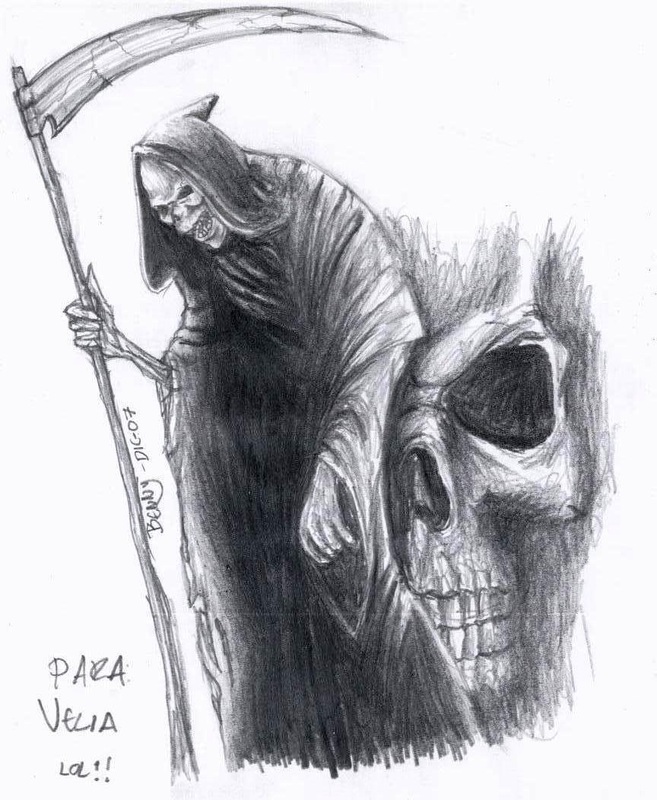 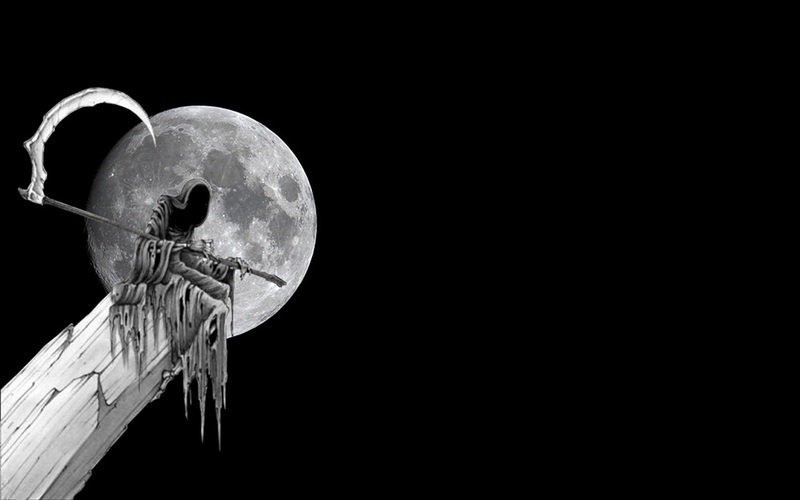 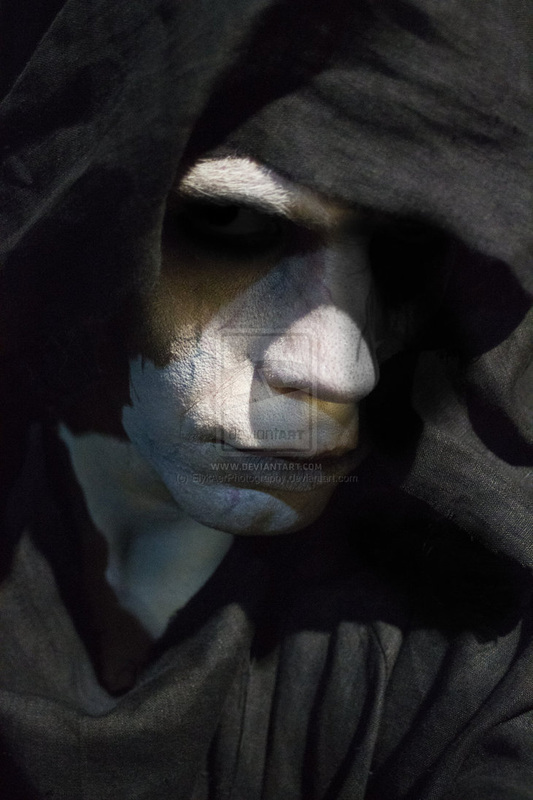 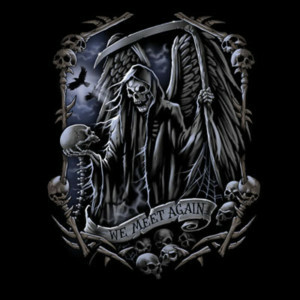 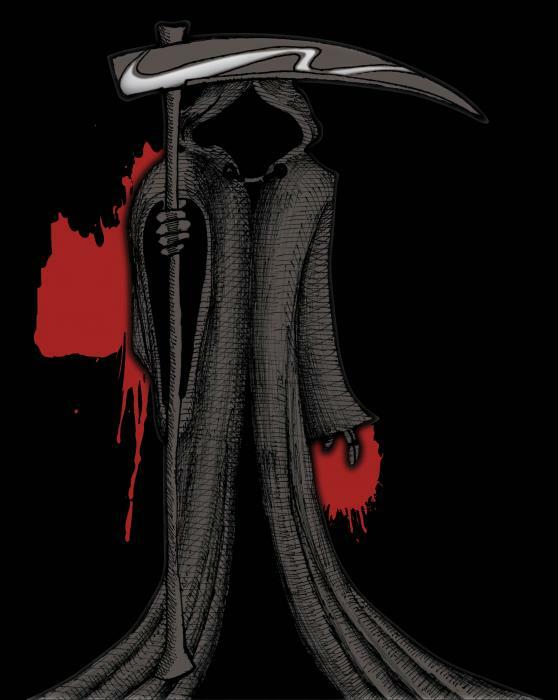 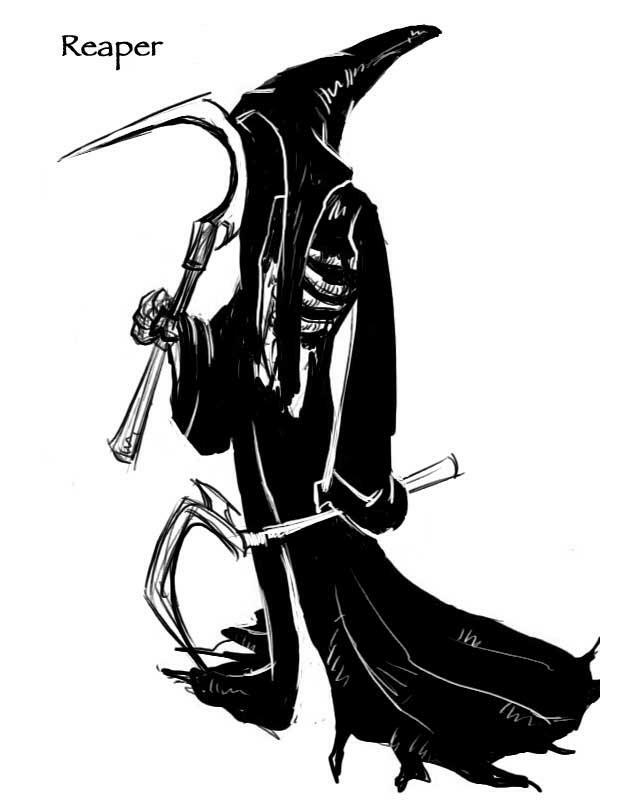 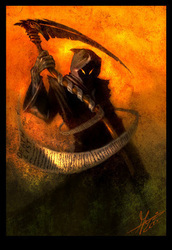 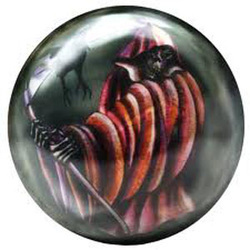 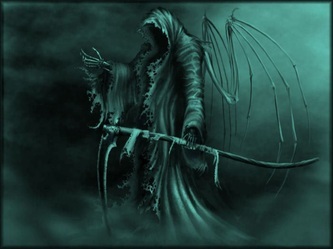 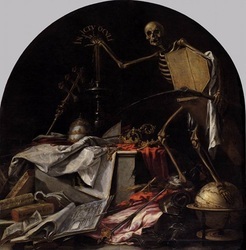 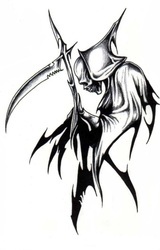 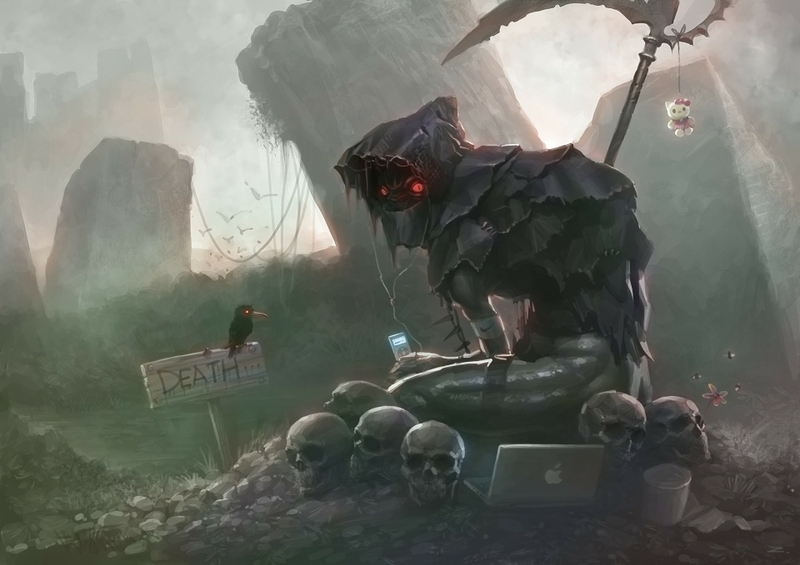 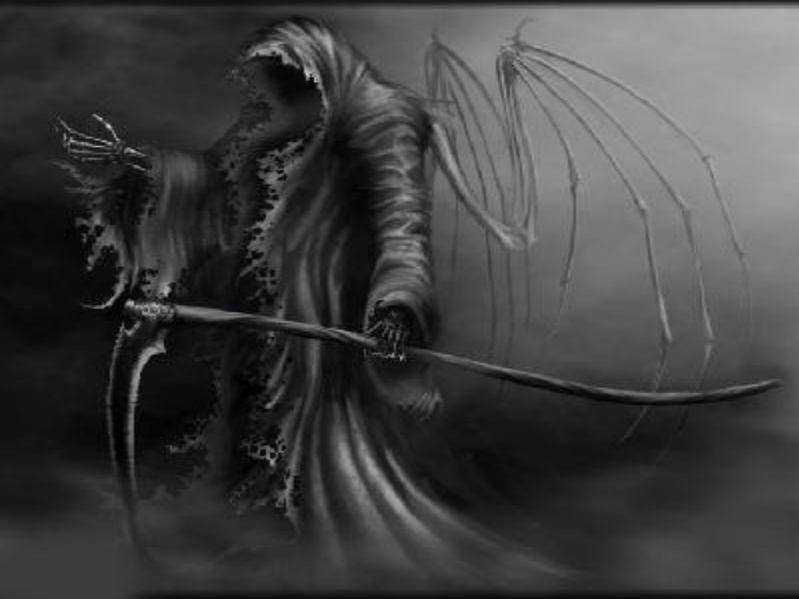 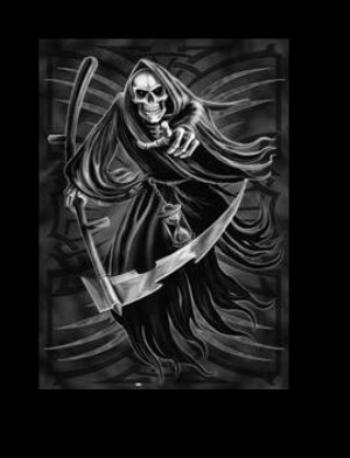 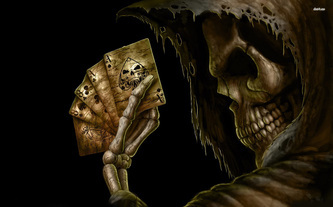 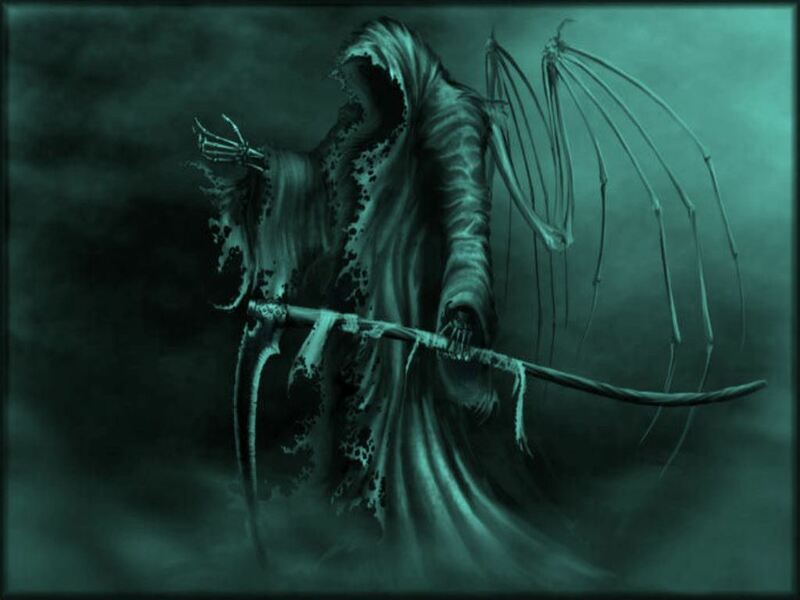 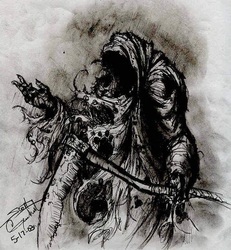 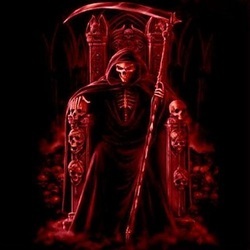 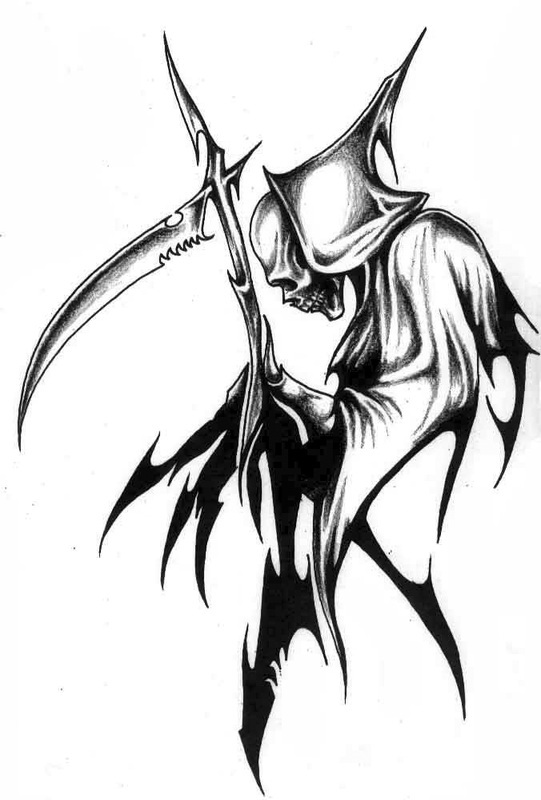 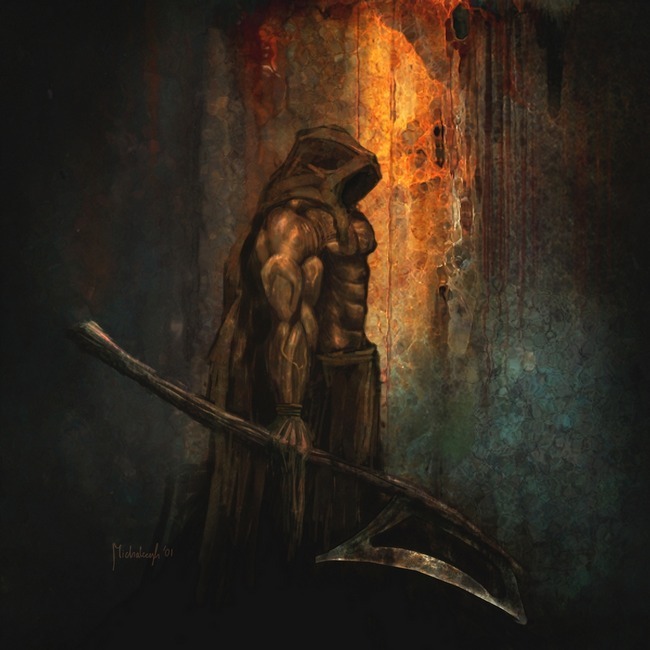 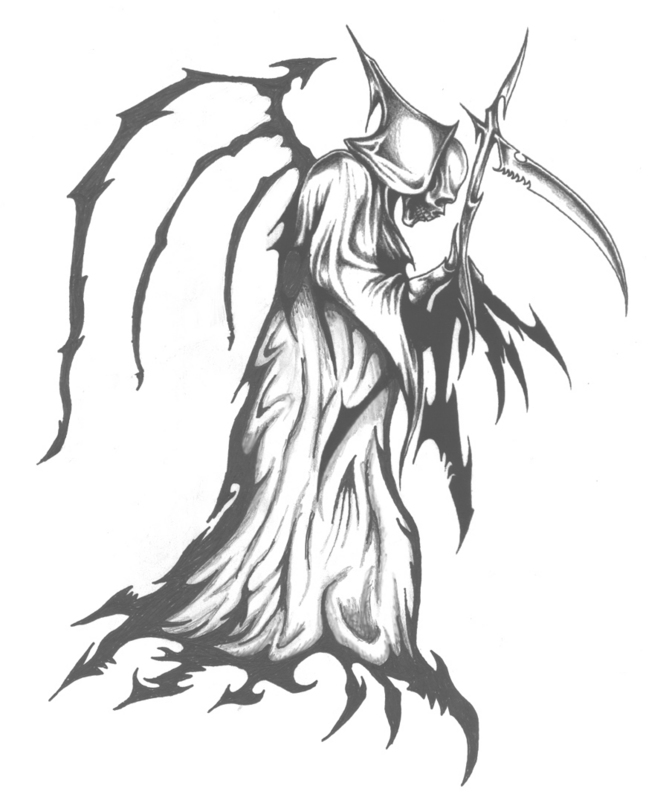 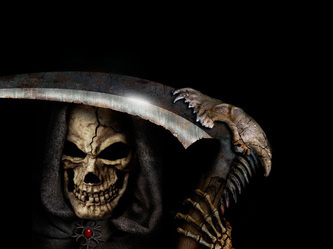 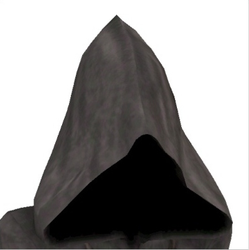 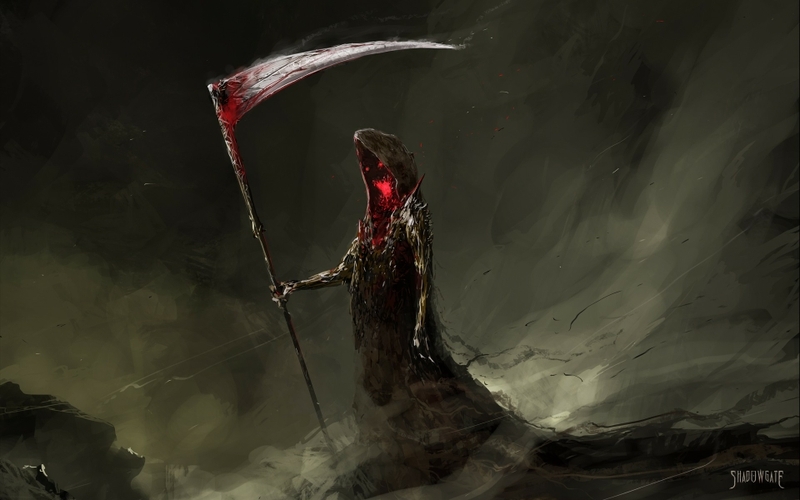 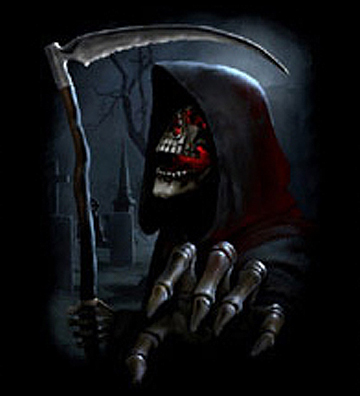 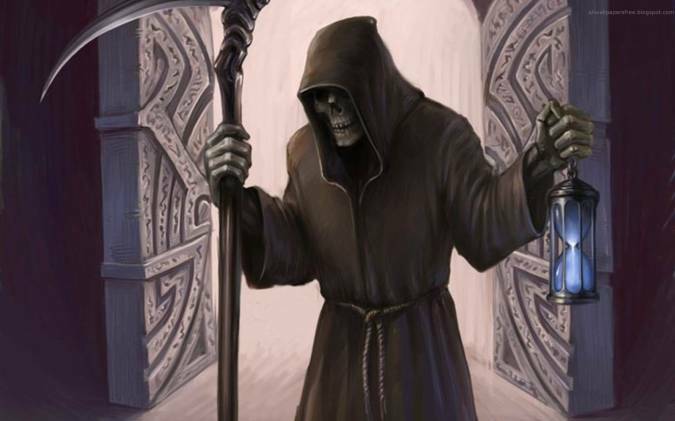 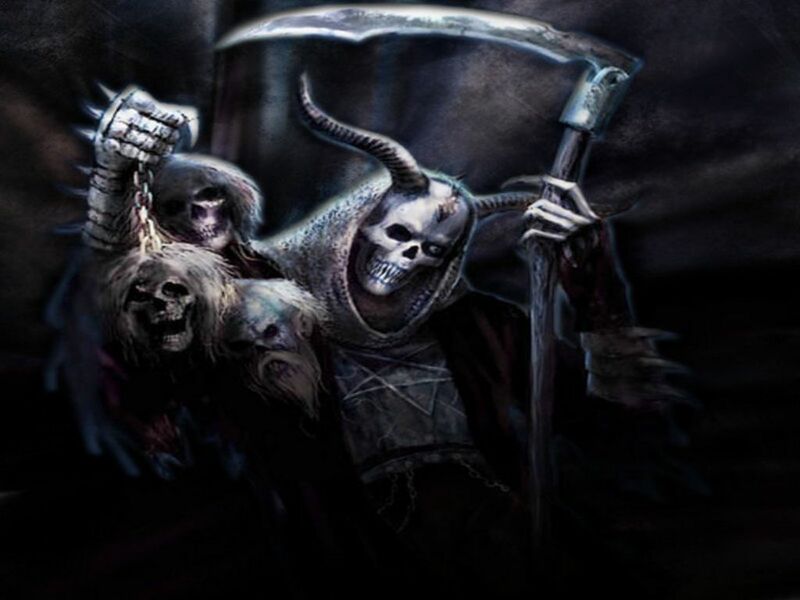 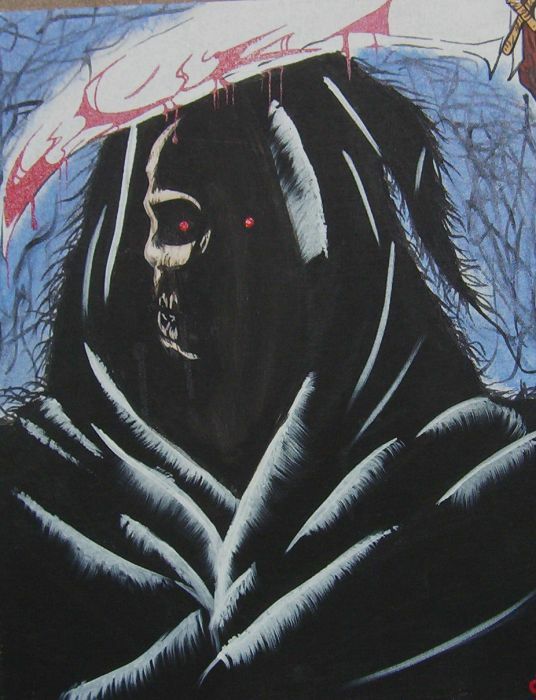 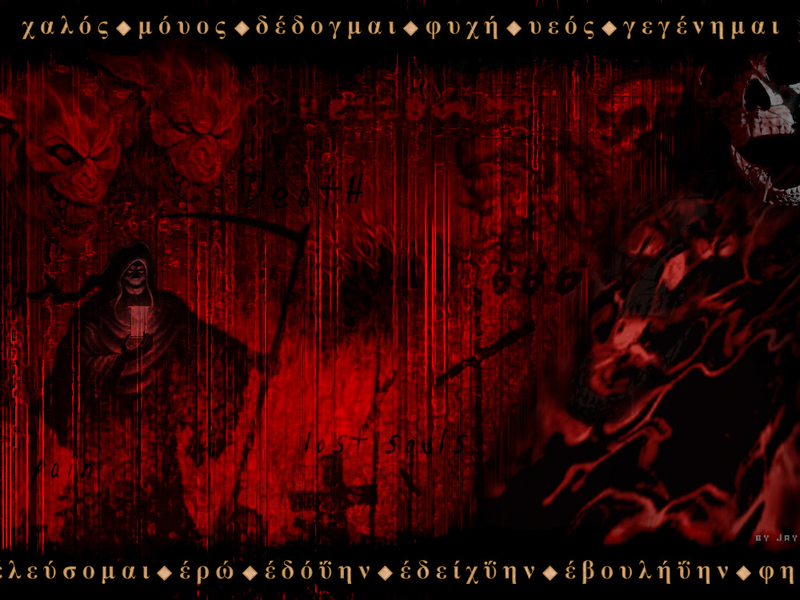 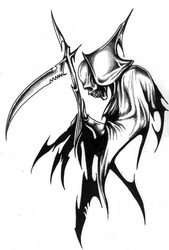 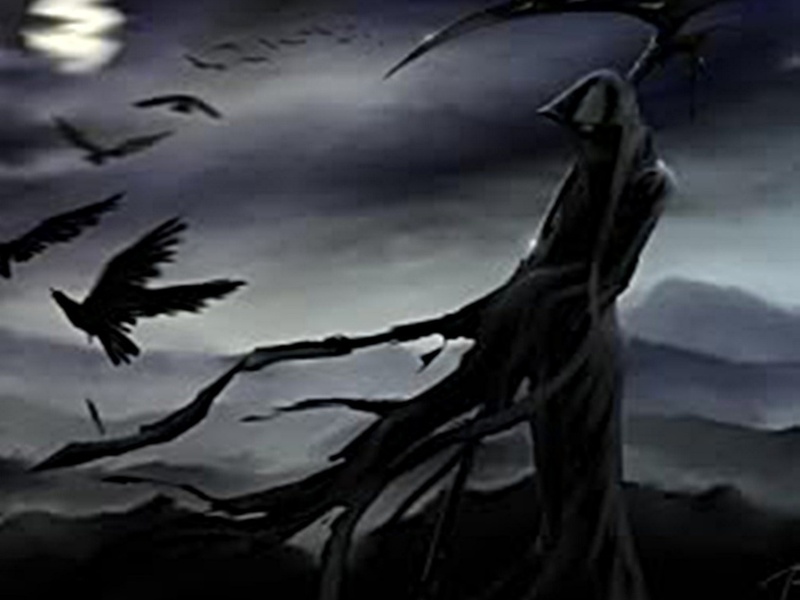 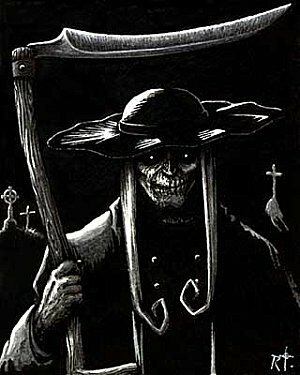 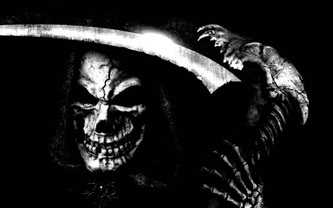 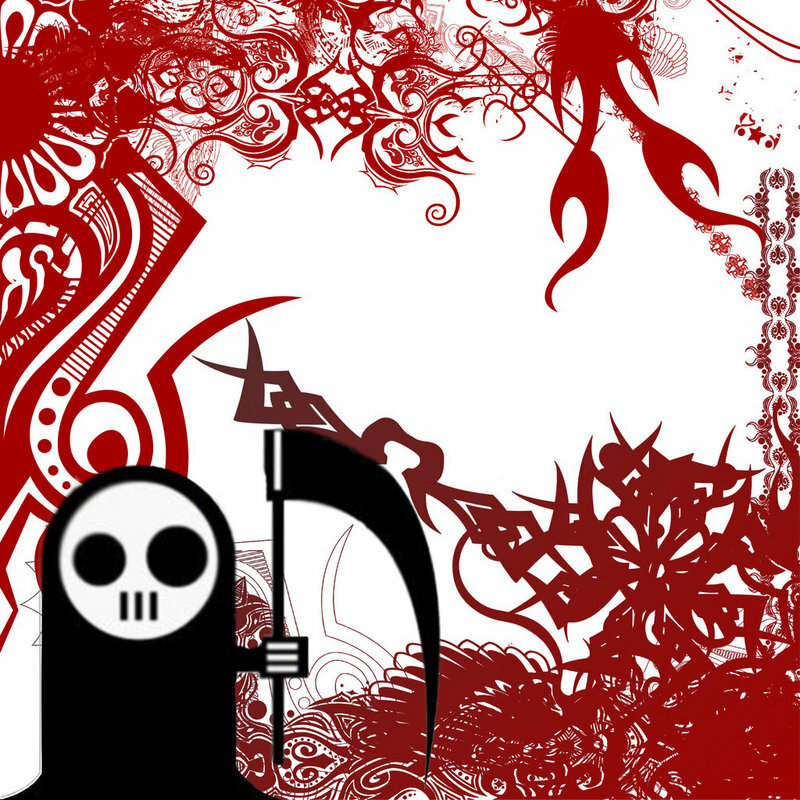 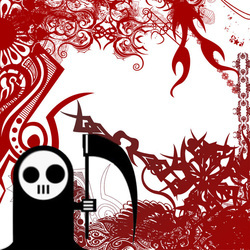 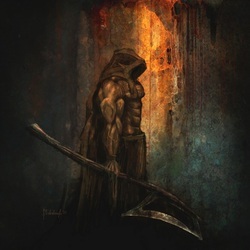 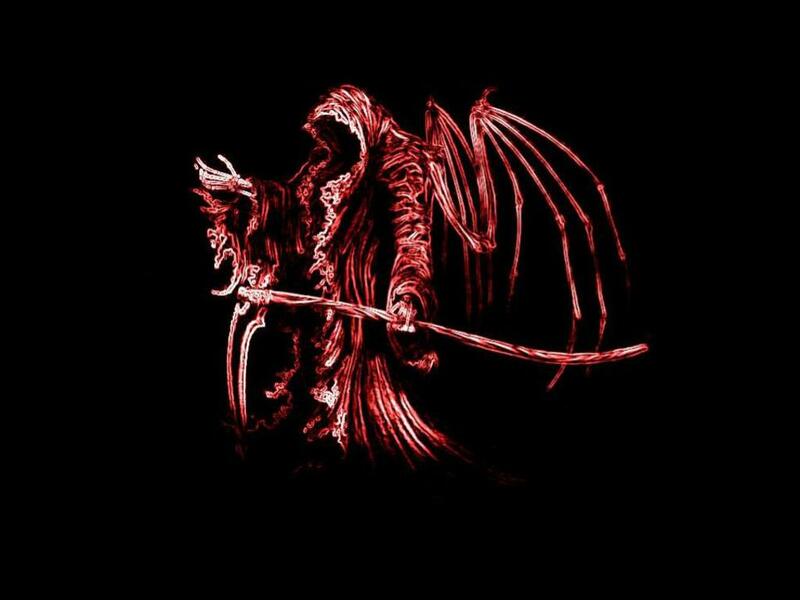 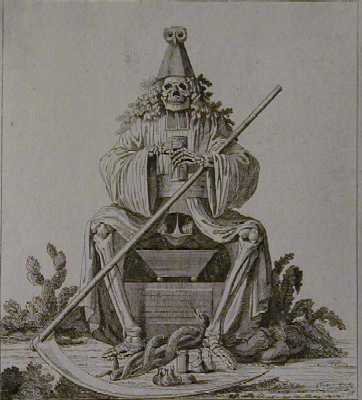 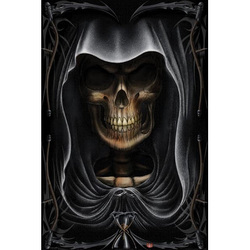 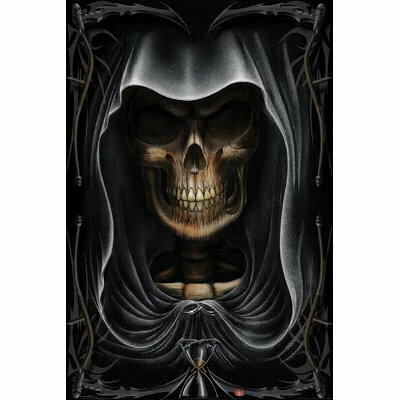 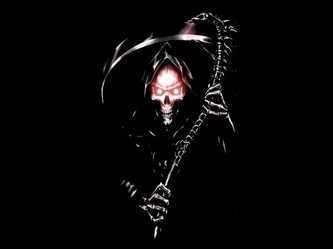 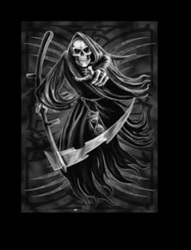 The Grim Reaper is considered this archetypal Psychopomp, (Greek), who performs his duties of collecting and escorting the dead. 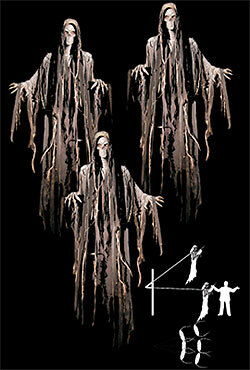 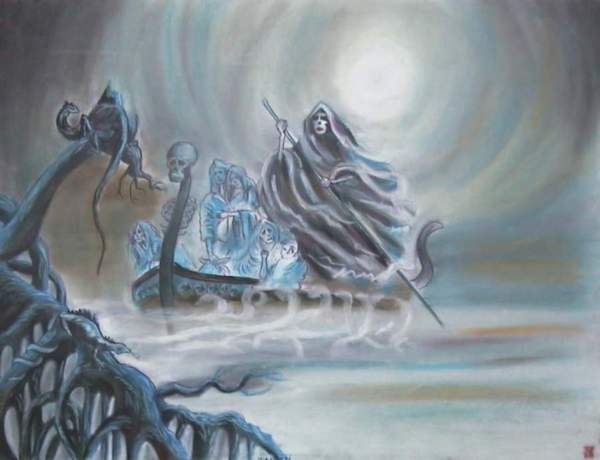 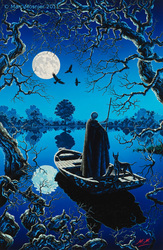 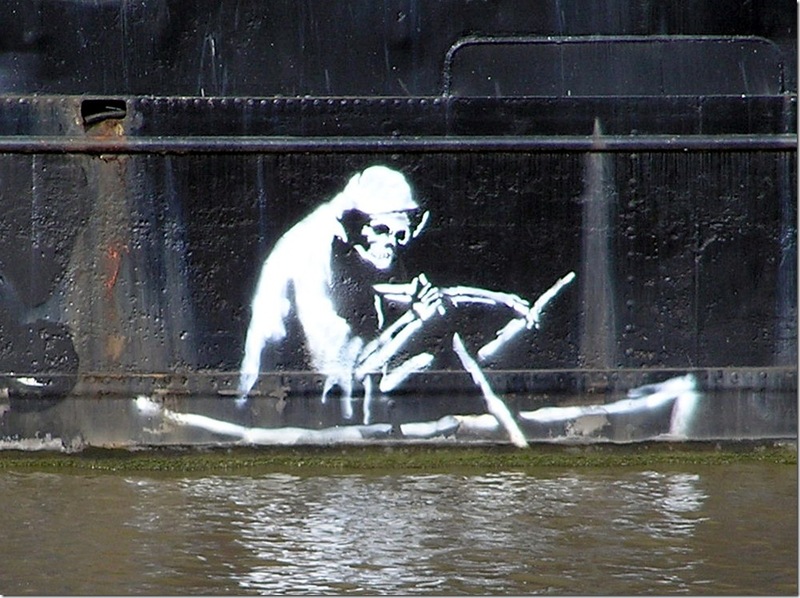 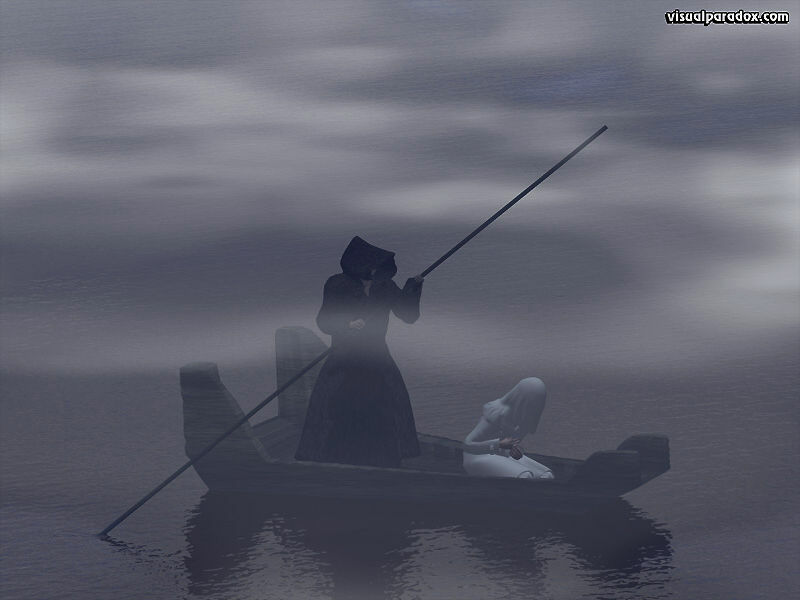 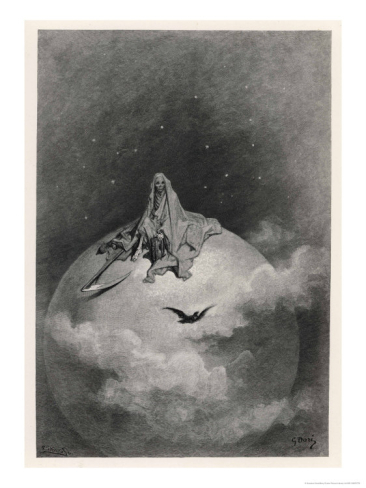 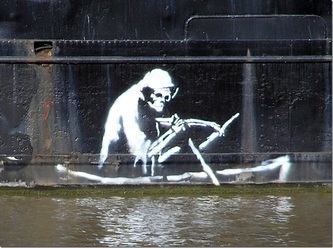 In ancient Greek mythology, Charon was such an entity, who ferried the souls of the recently departed across the river Styx which separated the worlds of the living and dead. 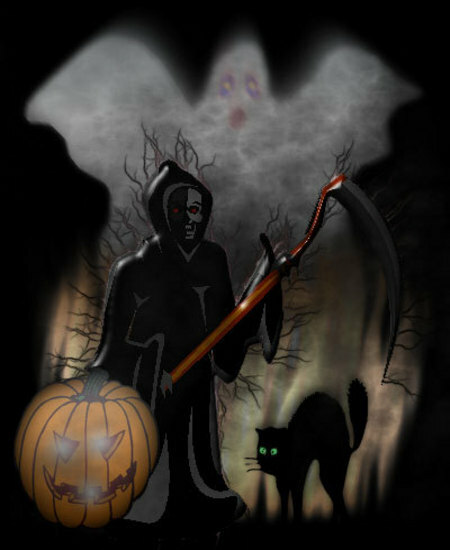 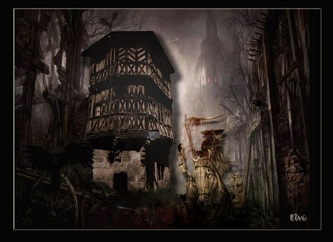 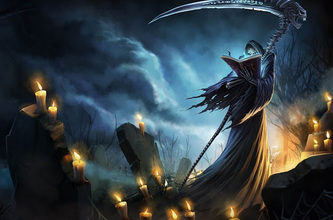 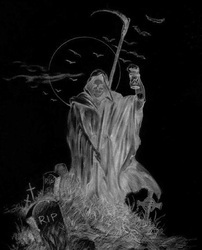 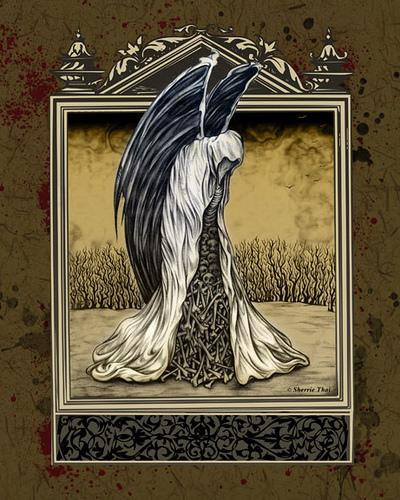 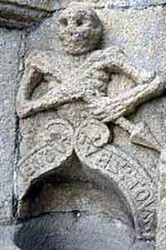 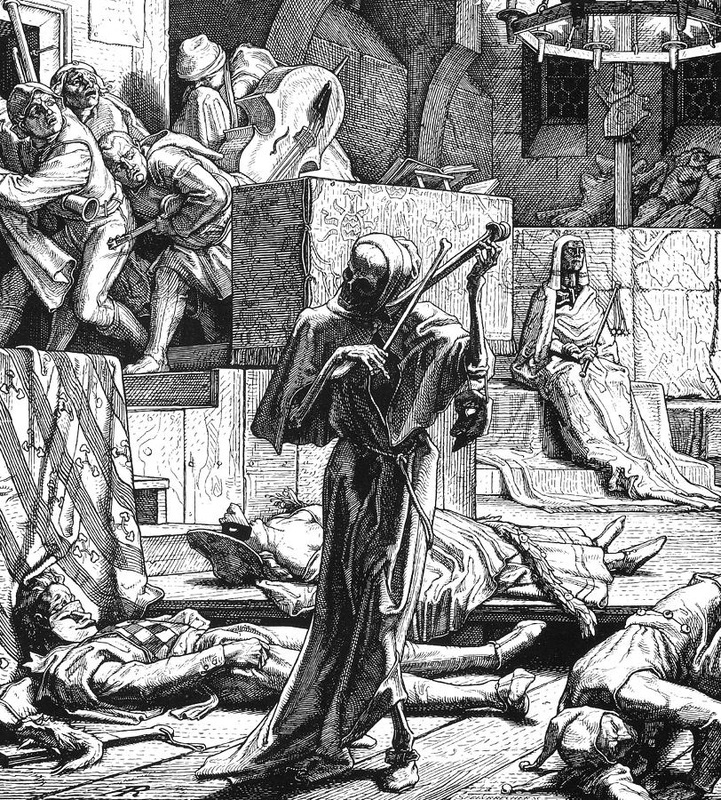 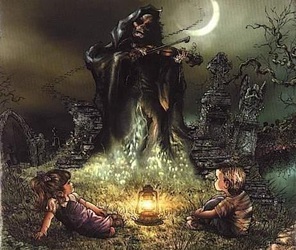 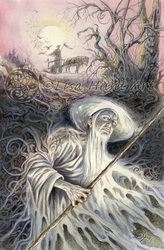 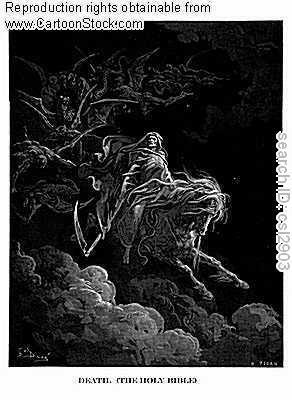 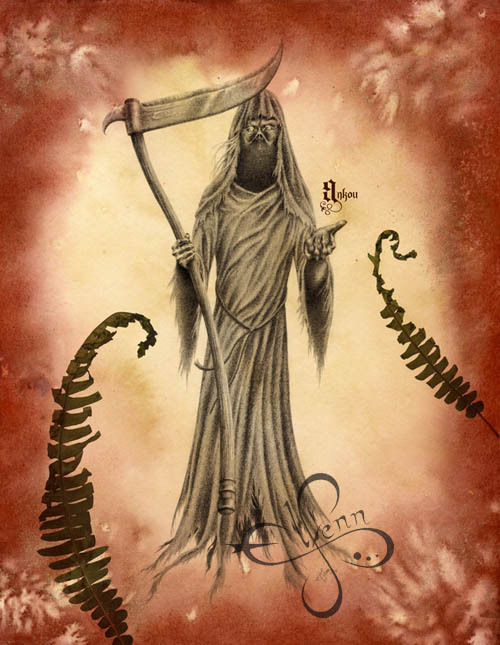 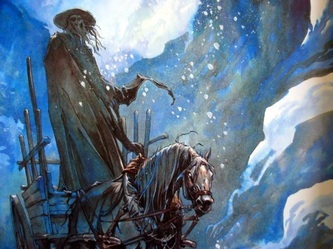 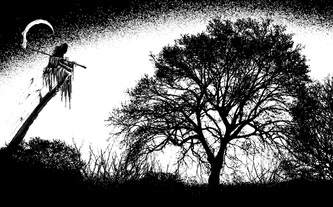 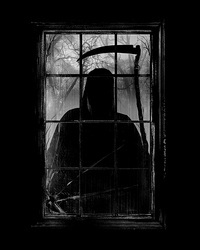 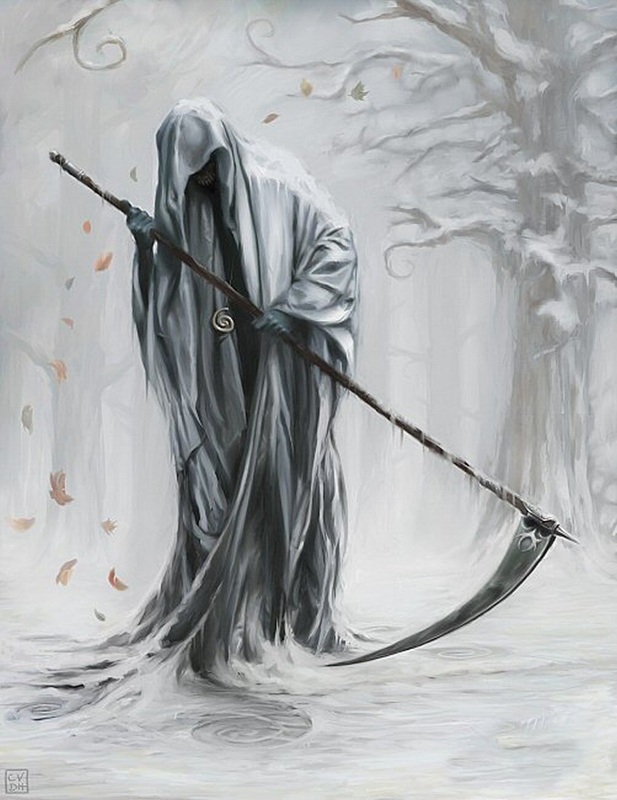 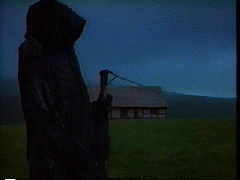 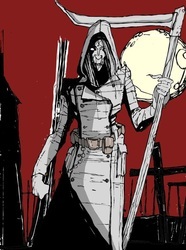 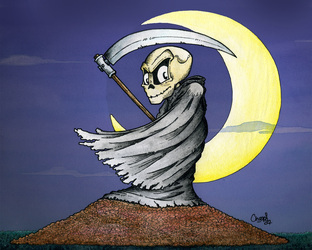 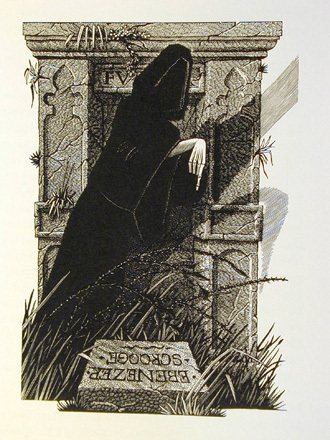 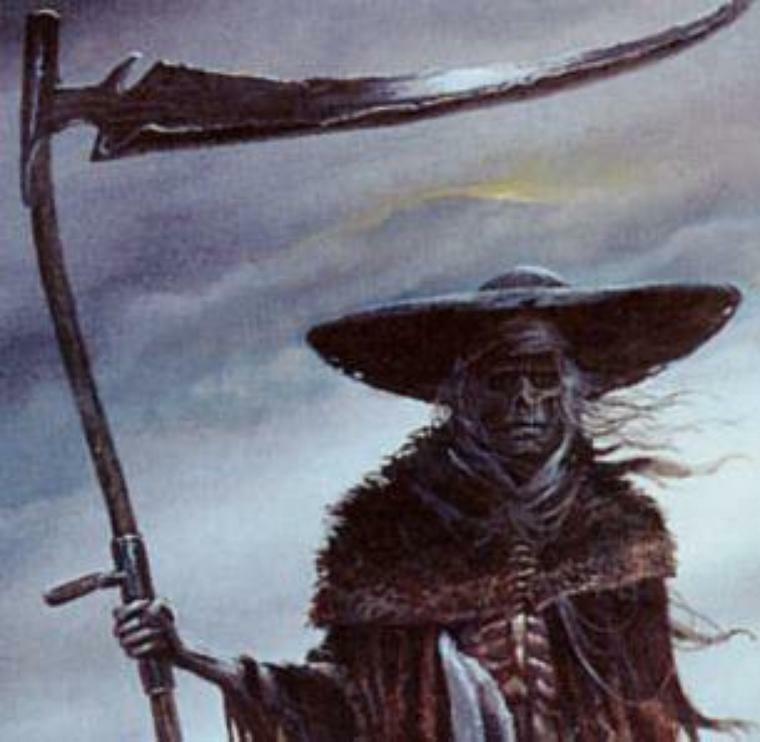 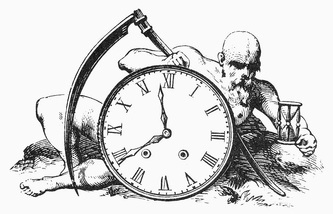 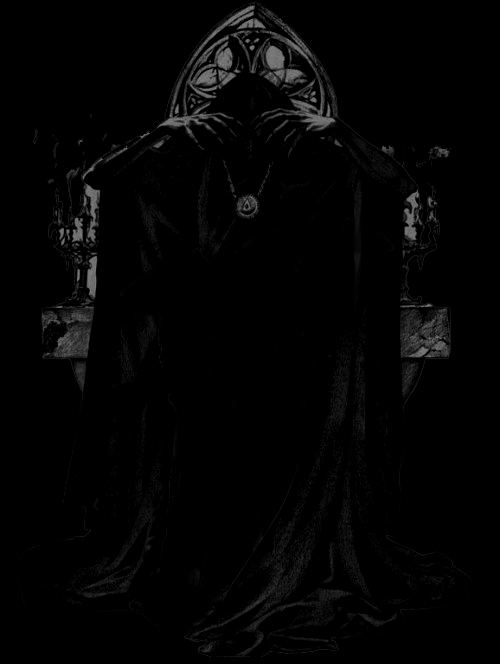 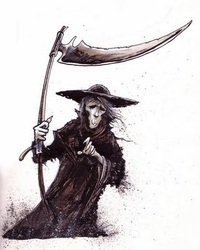 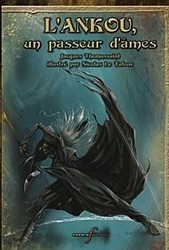 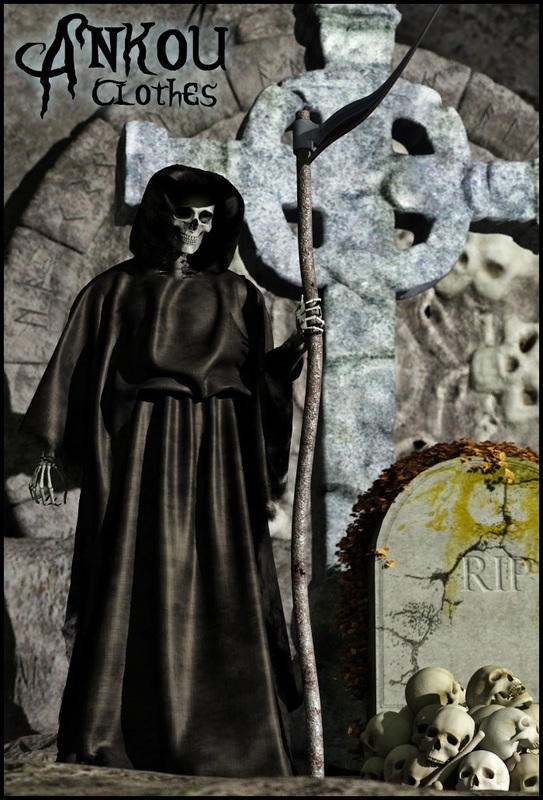 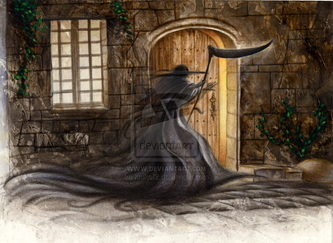 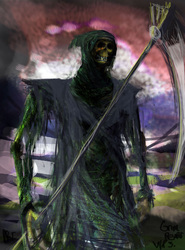 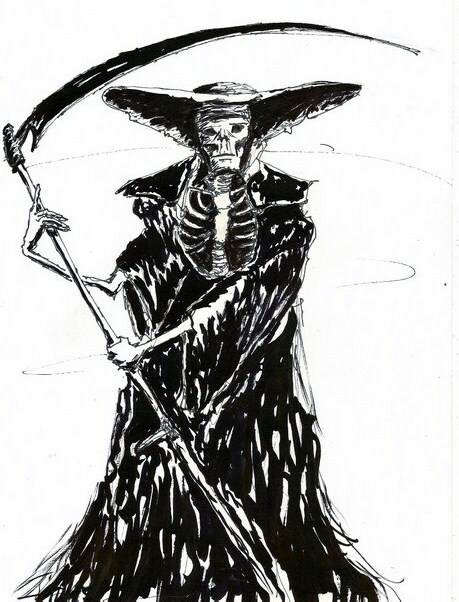 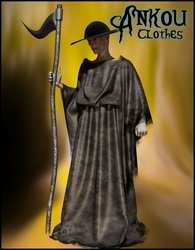 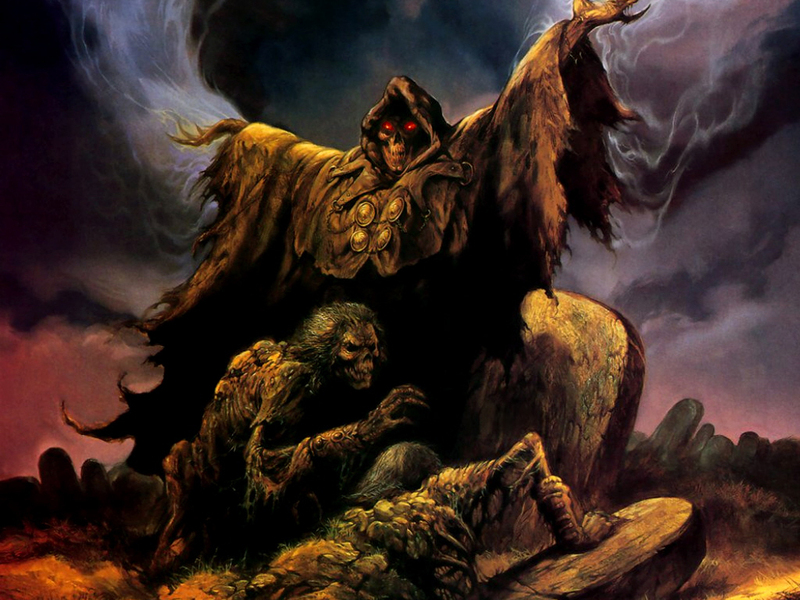 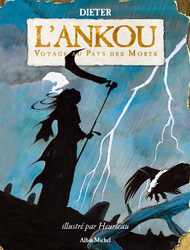 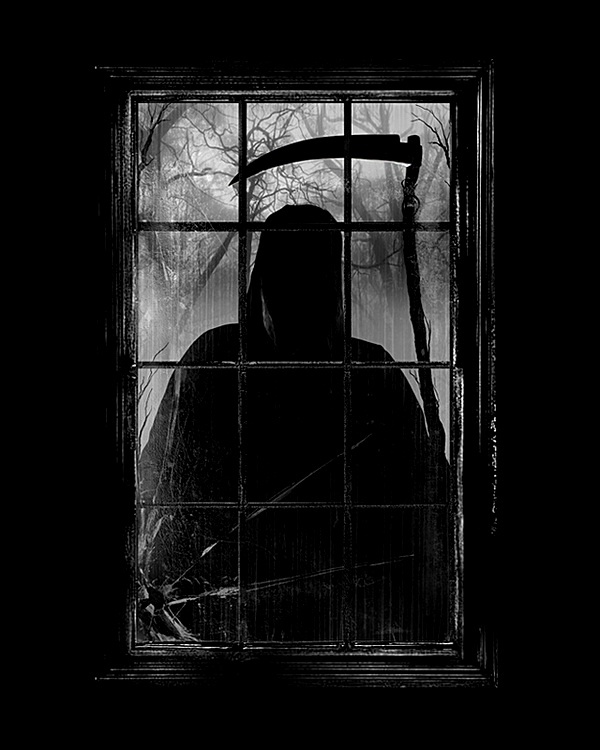 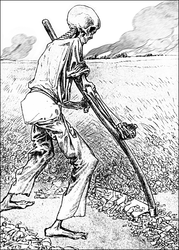 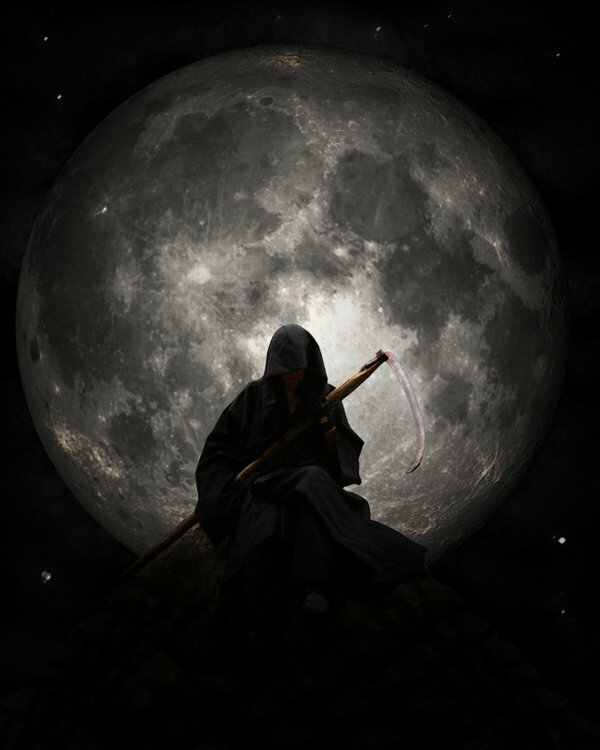 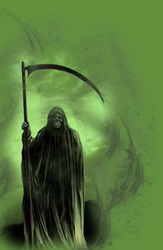 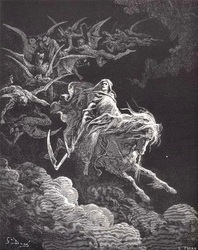 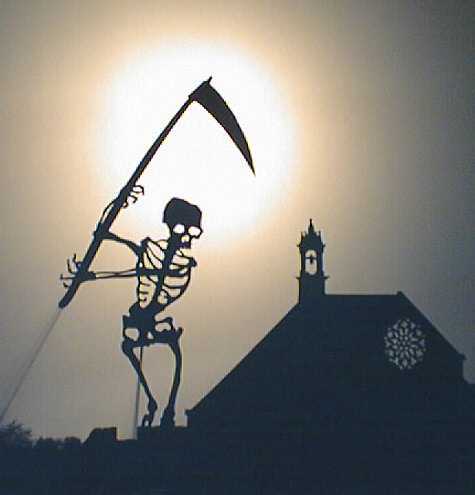 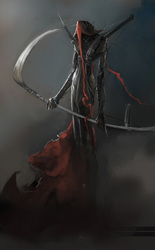 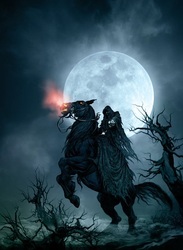 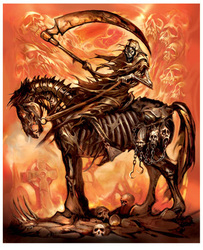 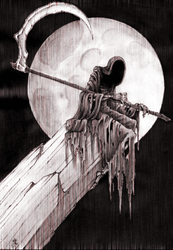 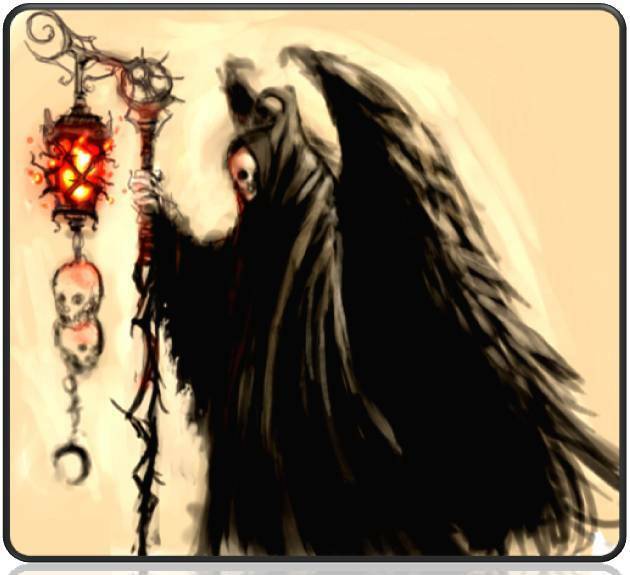 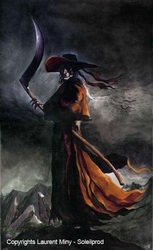 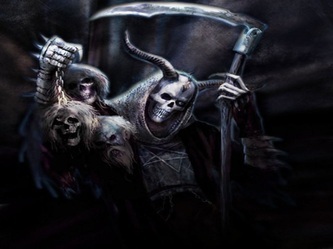 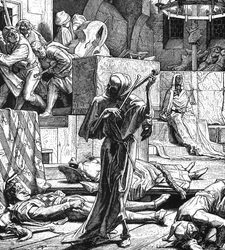 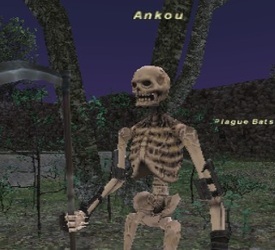 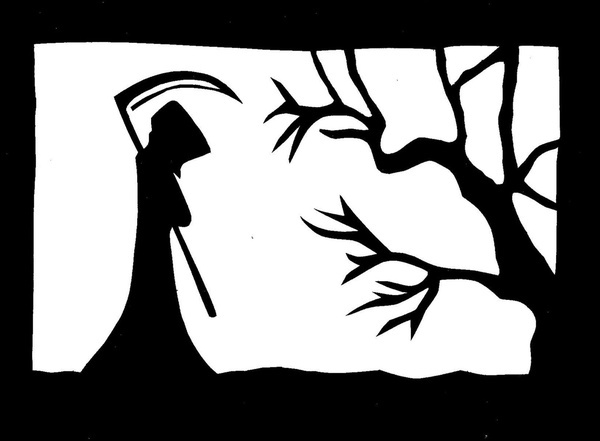 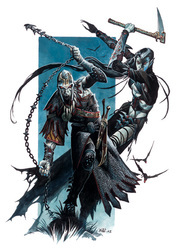 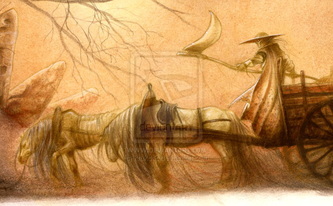 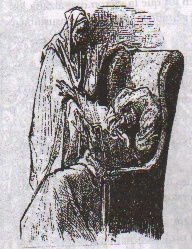 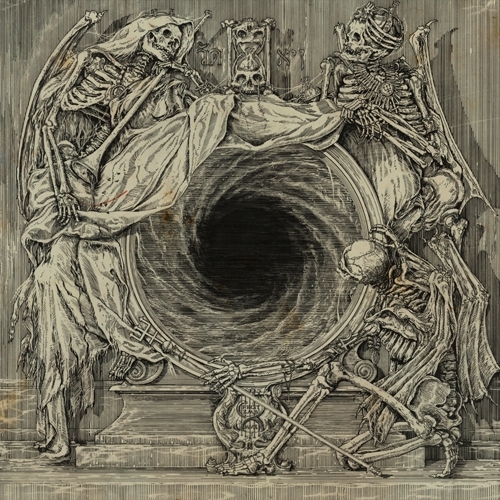 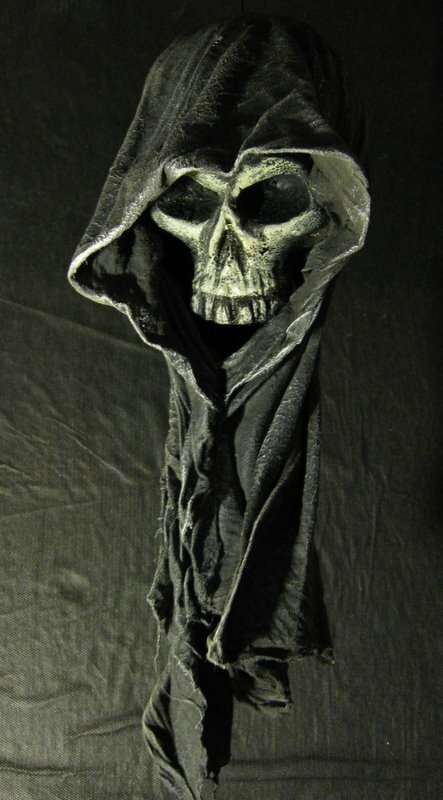 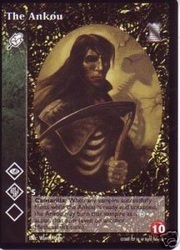 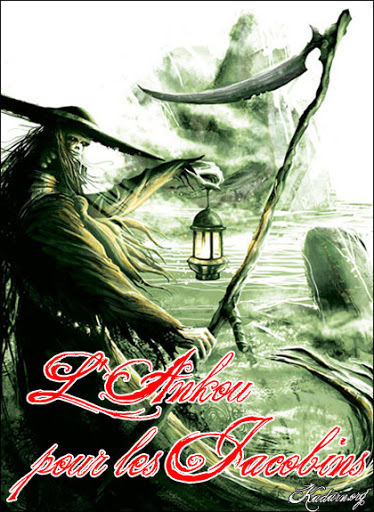 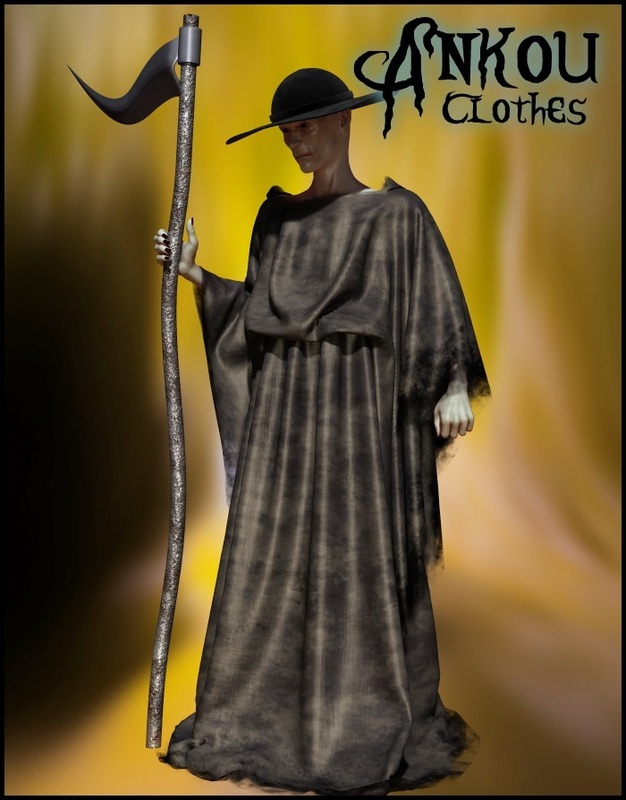 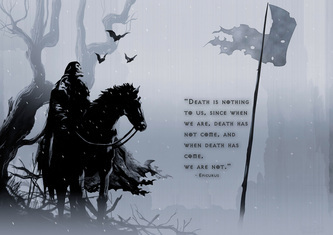 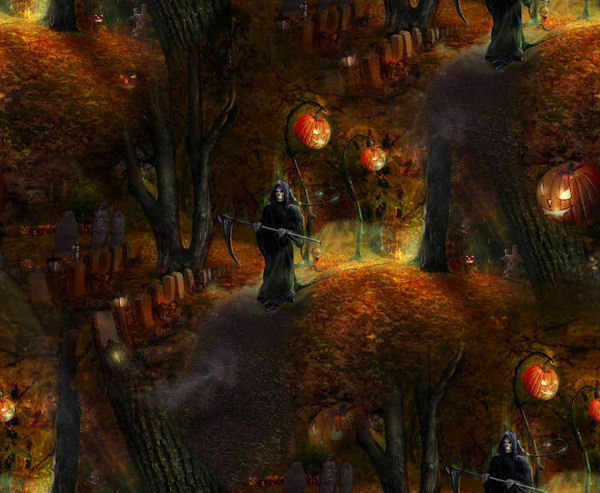 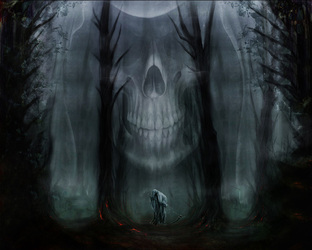 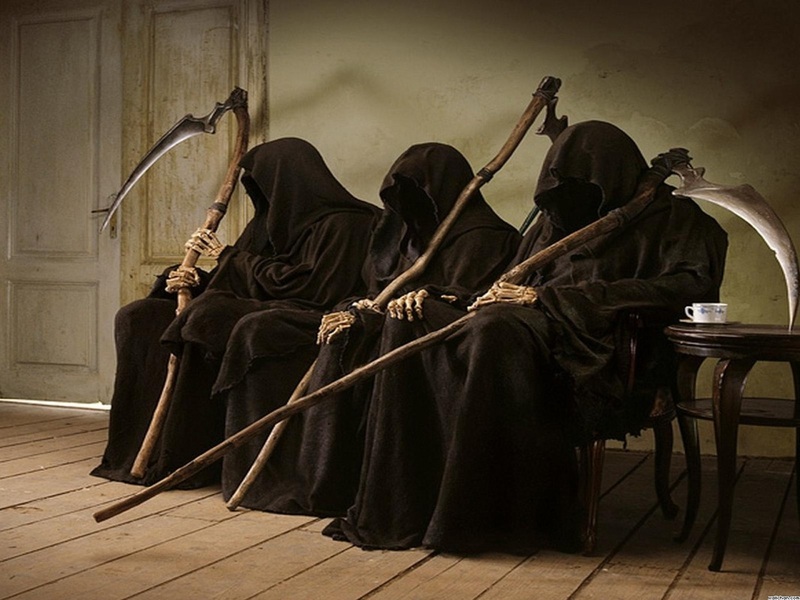 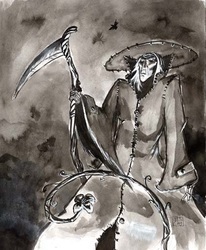 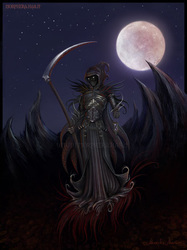 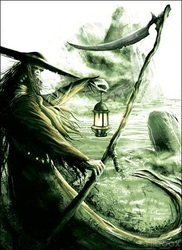 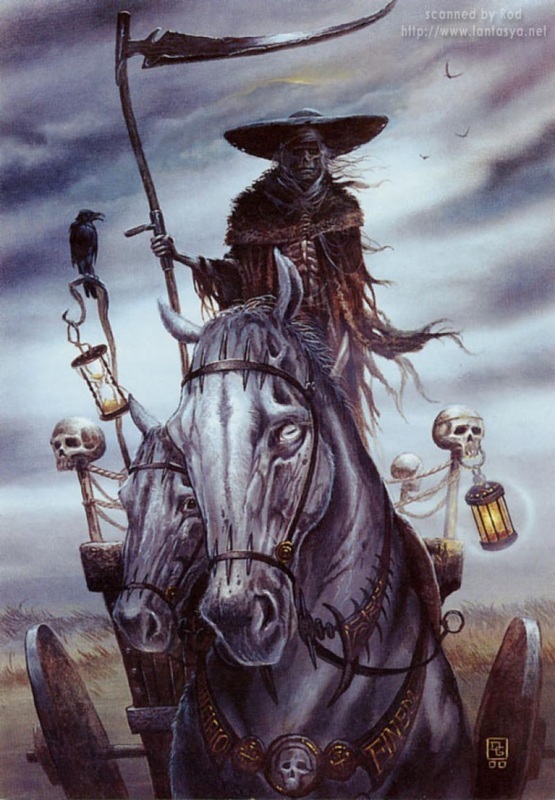 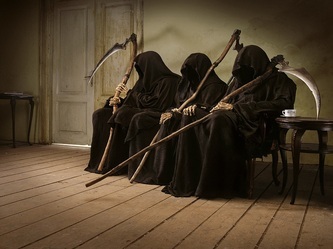 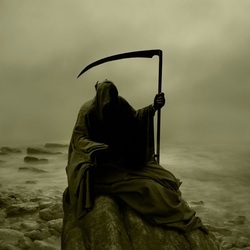 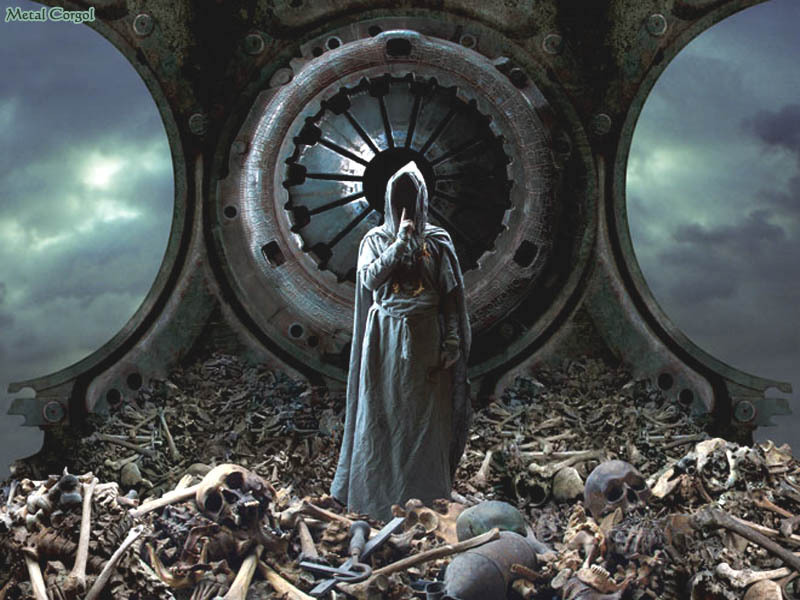 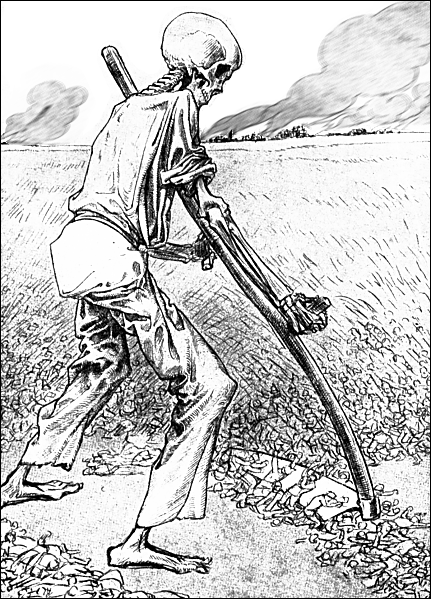 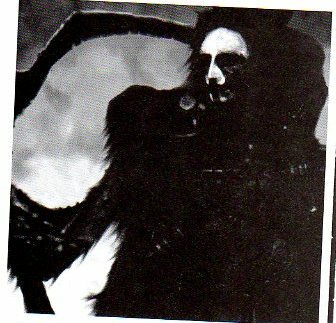 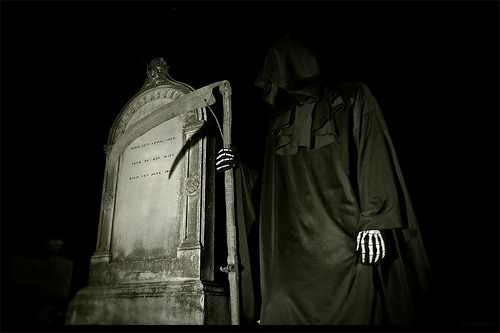 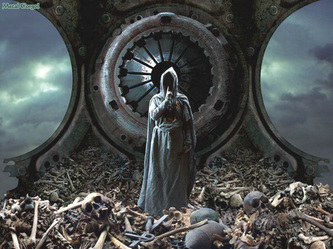 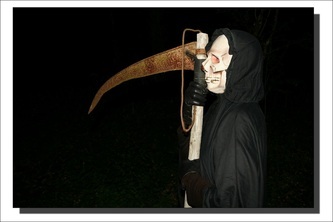 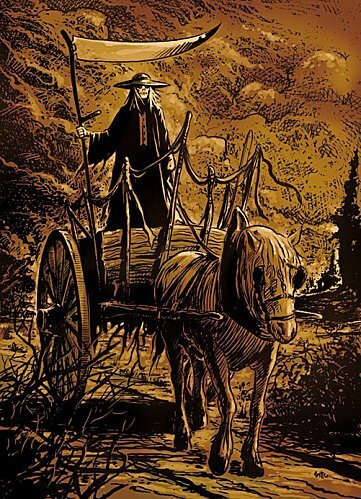 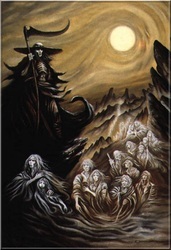 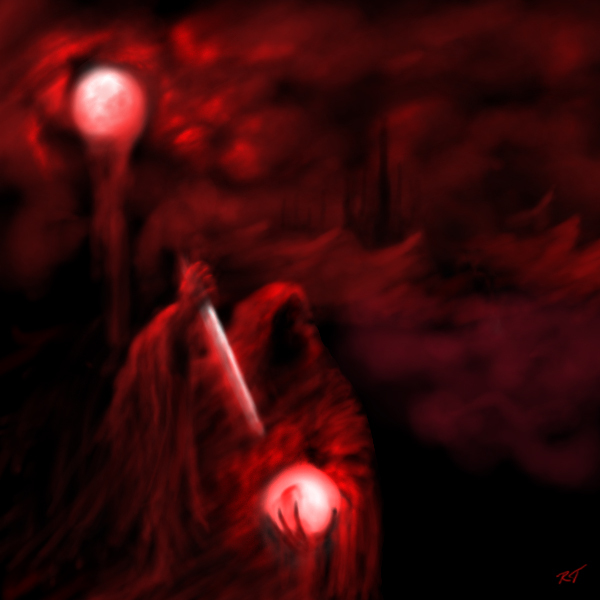 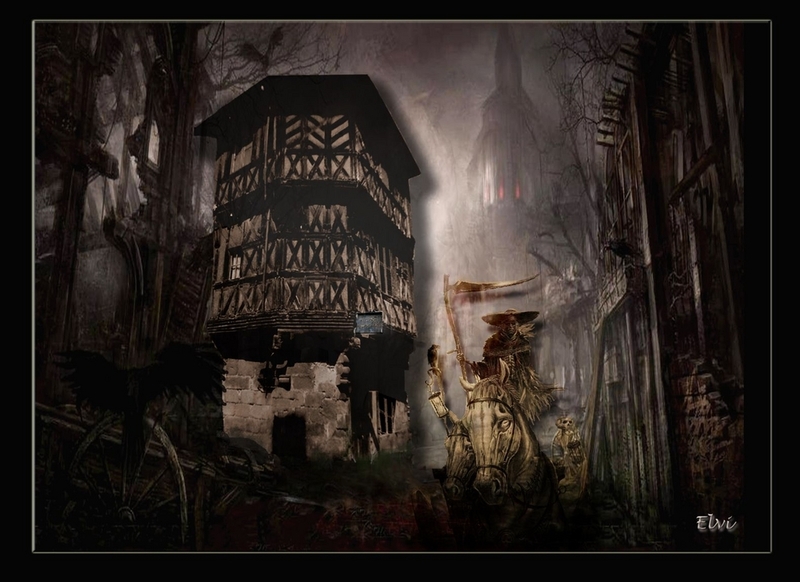 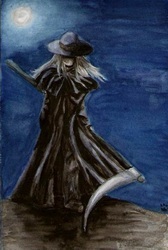 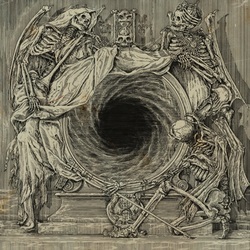 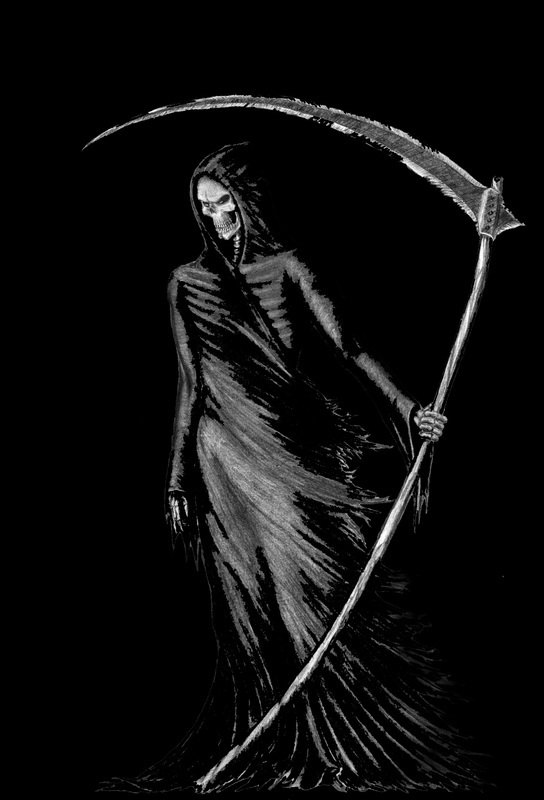 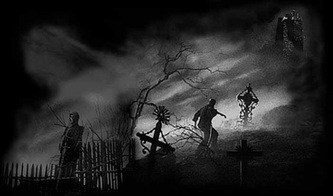 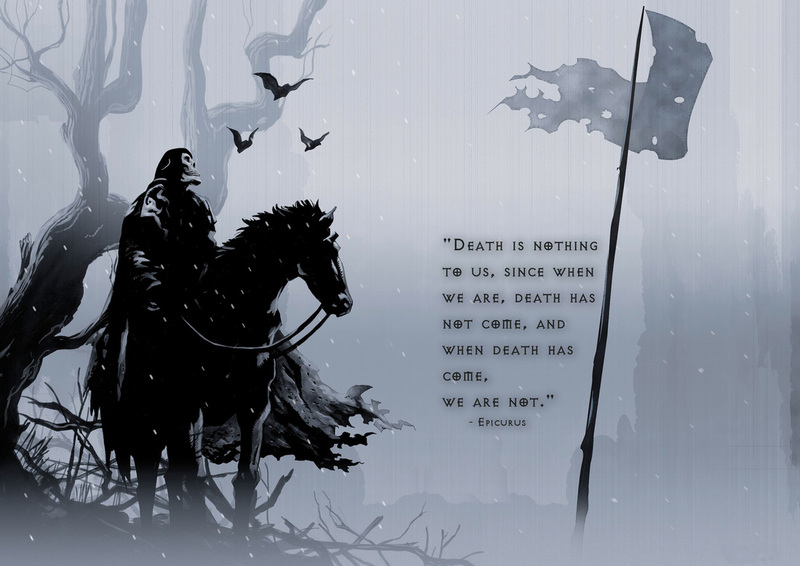 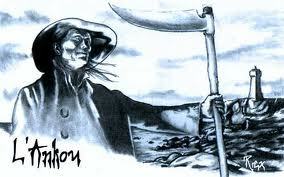 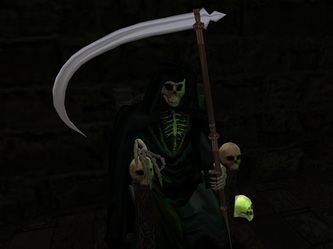 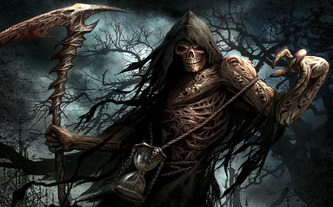 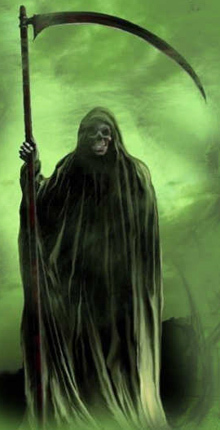 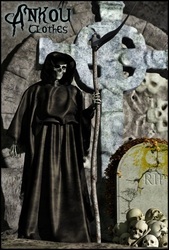 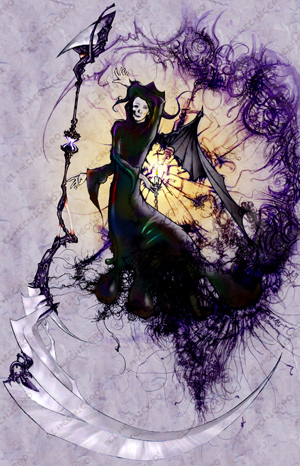 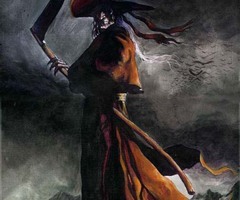 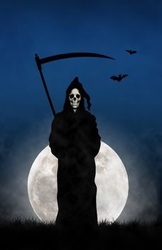 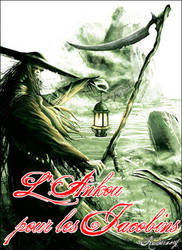 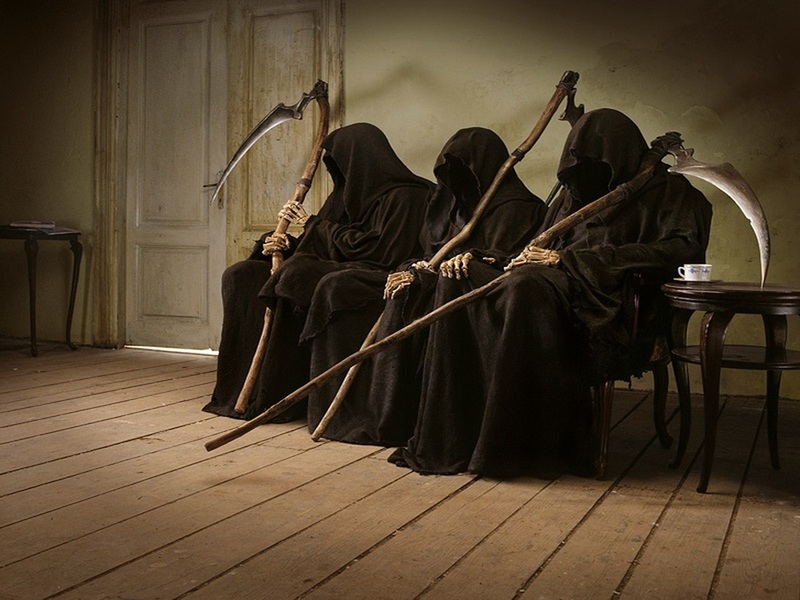 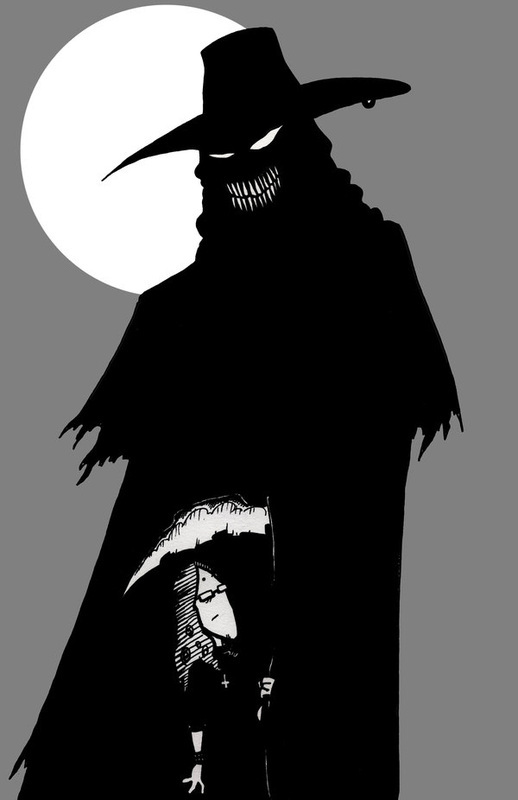 In Celtic mythology the personification of death was either [the British] Samhain or [the Breton] Ankou, both of whom donned long black robes and carried scythes. 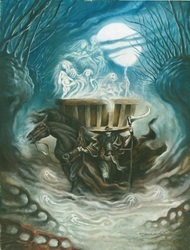 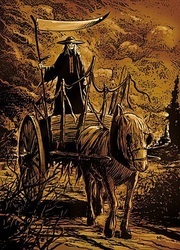 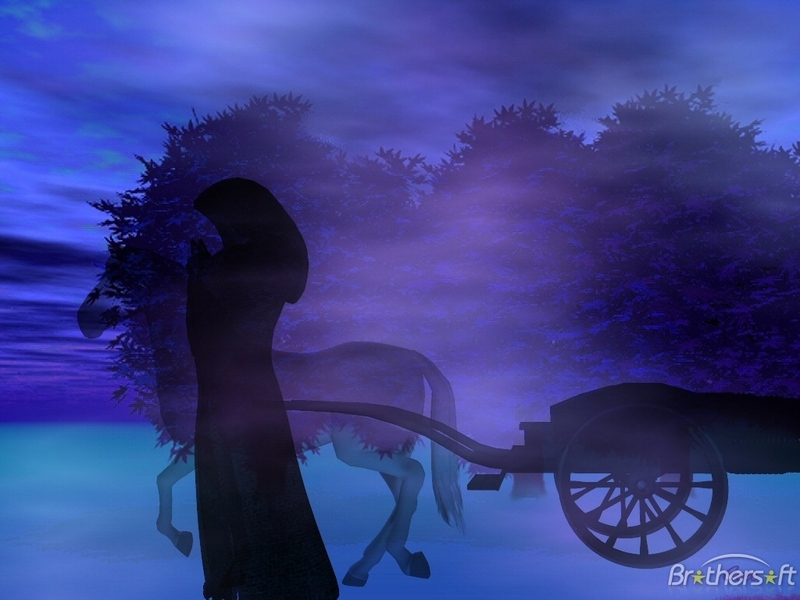 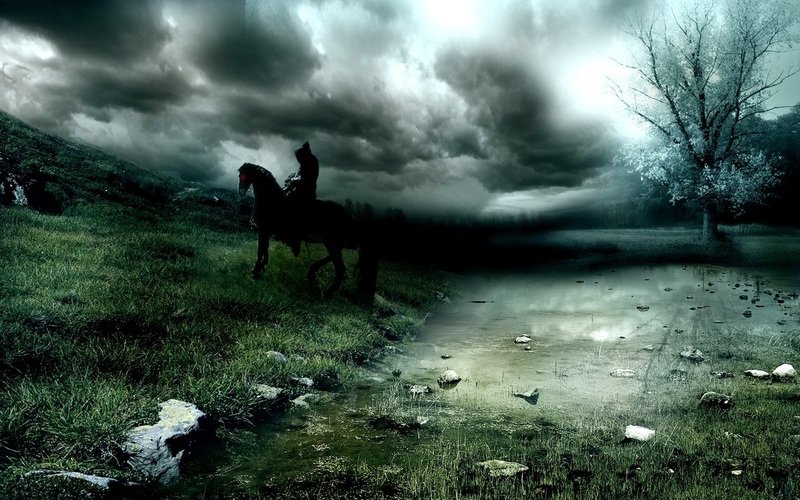 Legend has it that two horses often pulled his cart which encargoed the souls of the deceased to whatever fate awaited them in the Otherworld.